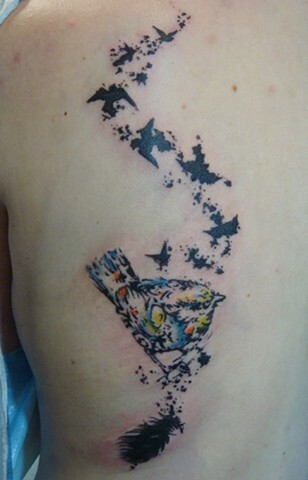 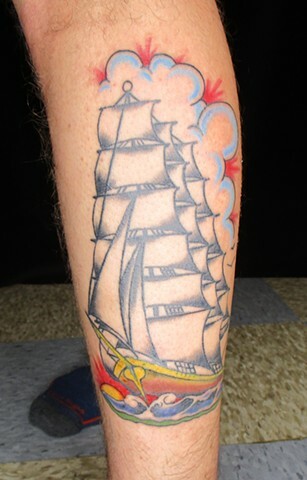 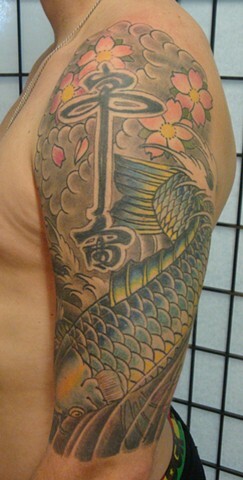 Tattoo art itself is as dynamic as the people that wear it, and I try to create images that fit the wearer. 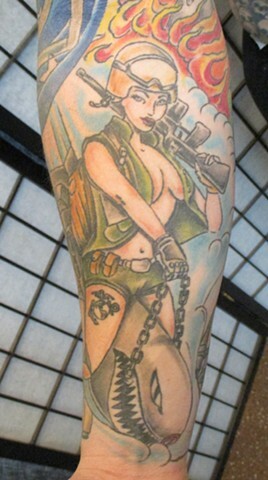 As my teacher once said many years ago; our job is to make guys look tough, and girls look cute. 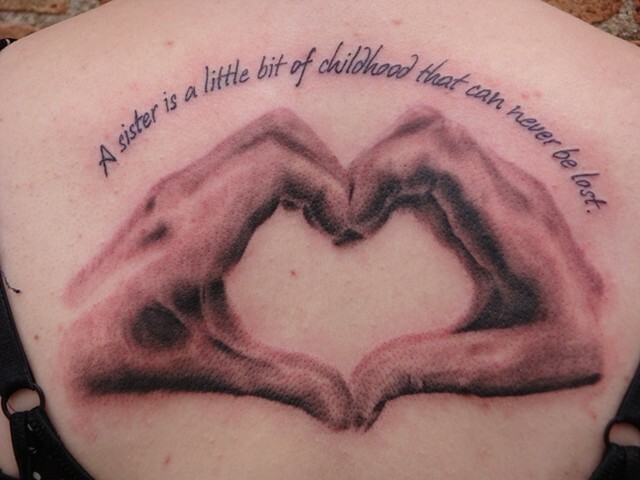 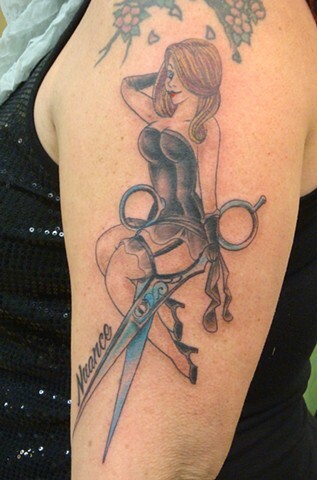 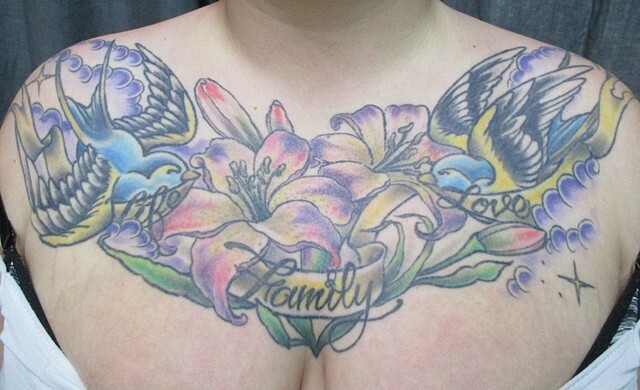 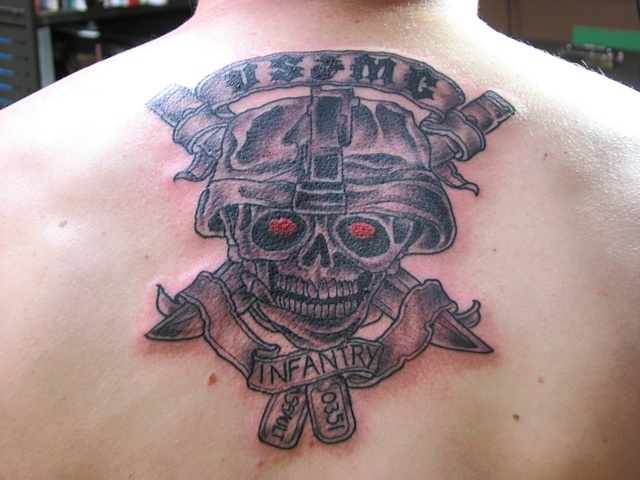 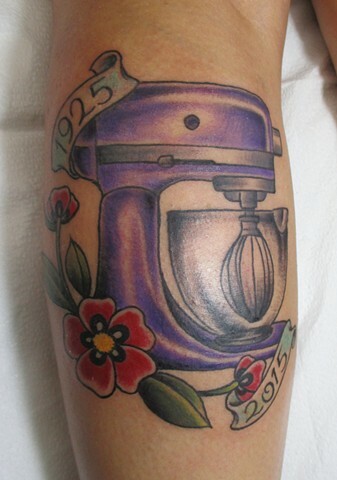 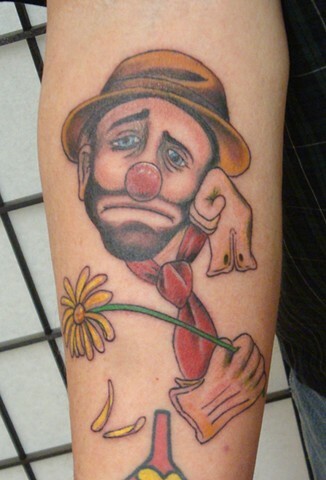 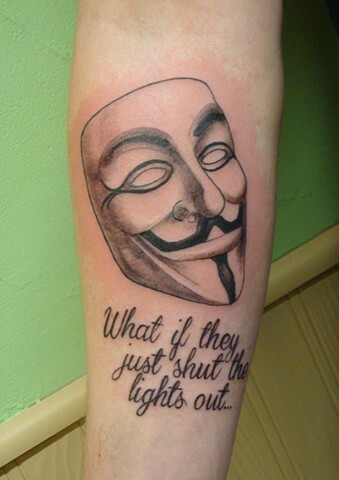 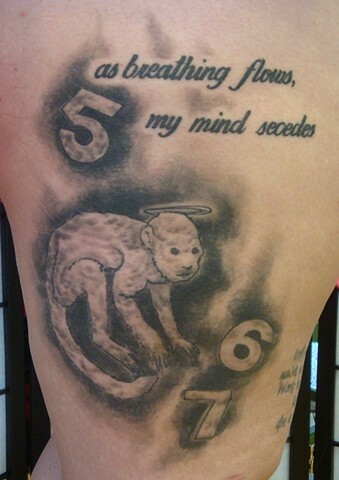 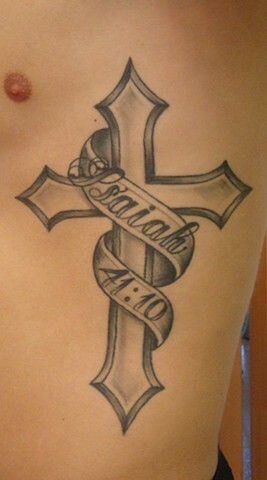 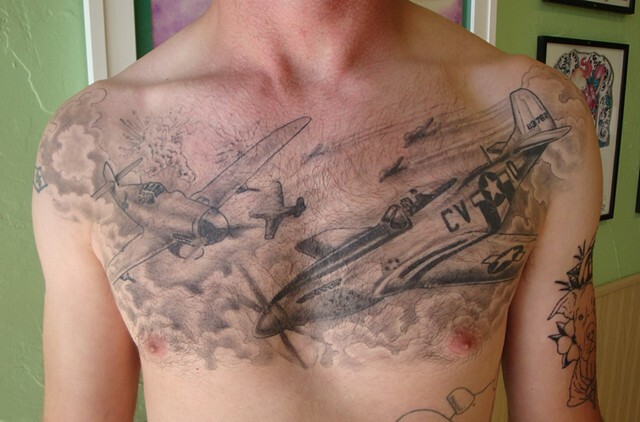 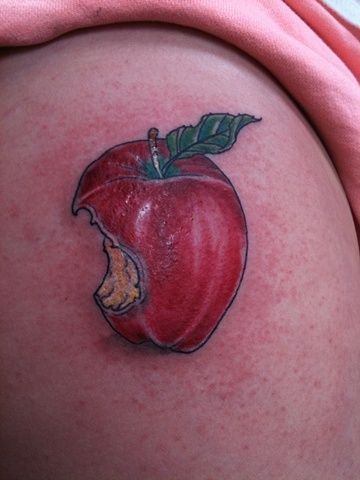 That may be an over simplification of what we do, but the truth is that tattoos can be many things to many people. 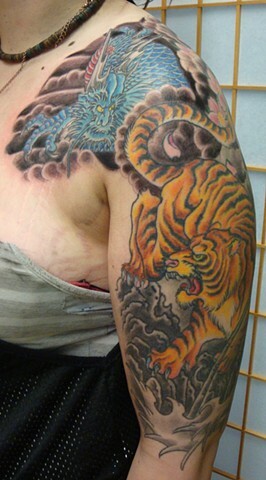 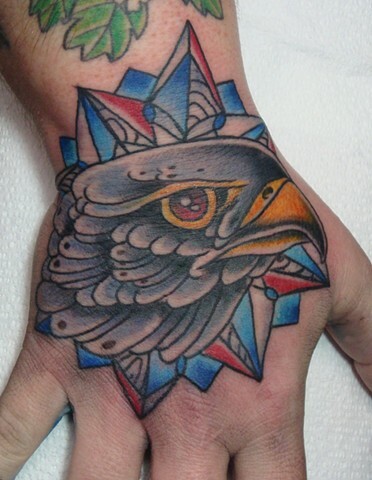 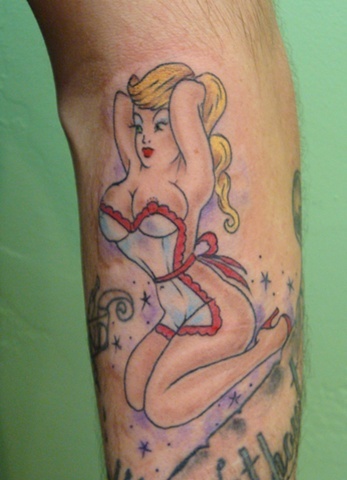 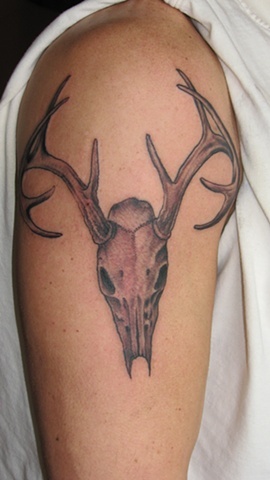 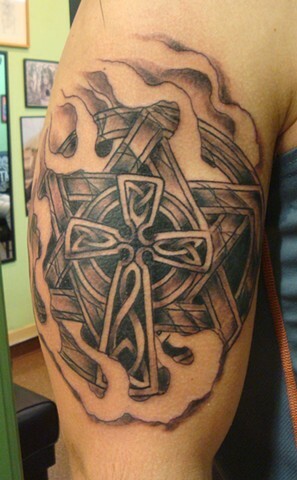 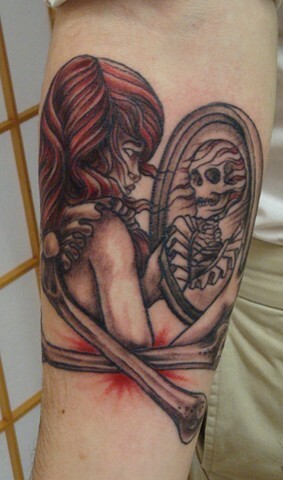 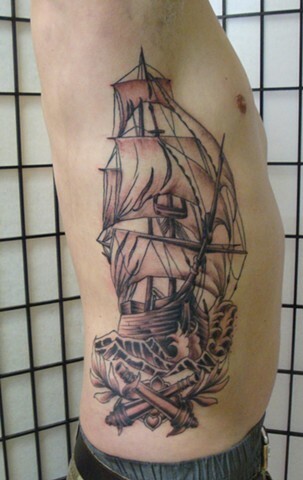 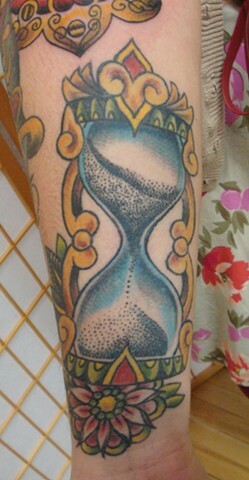 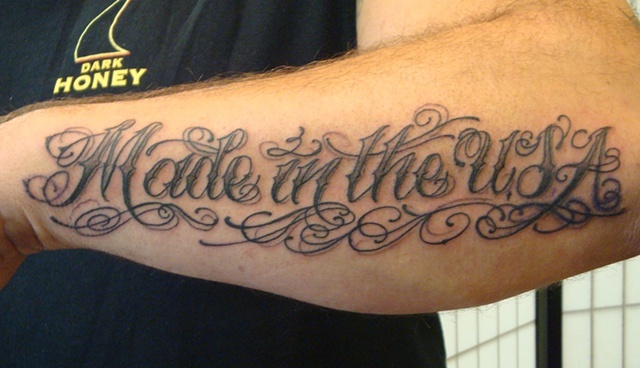 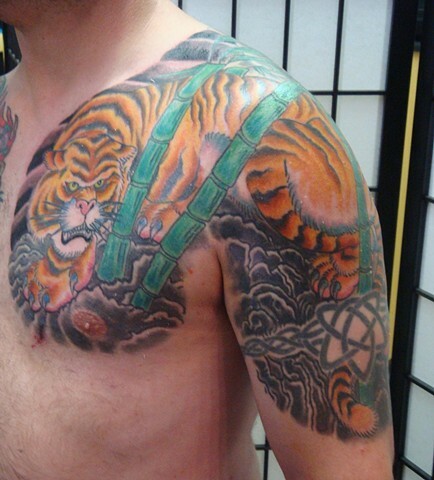 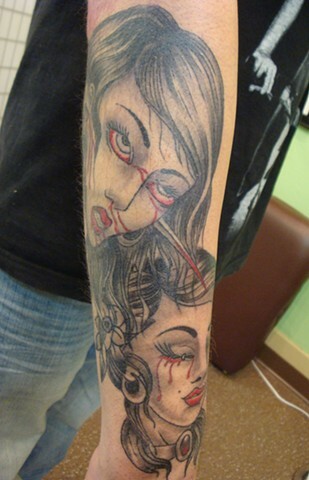 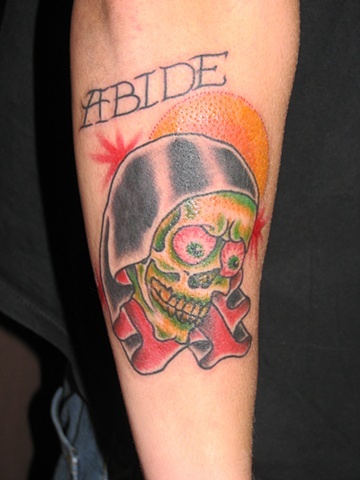 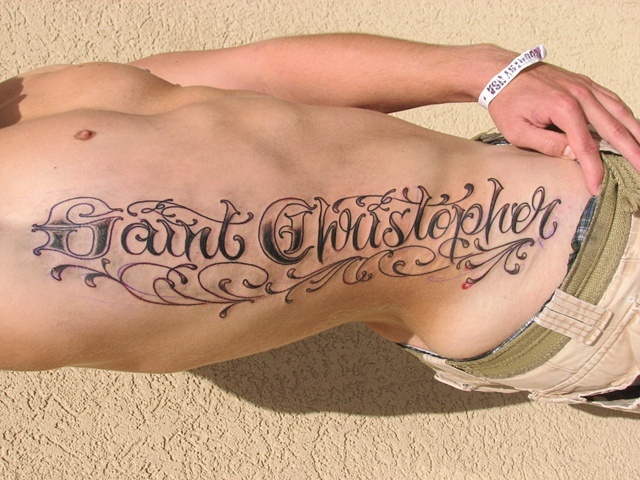 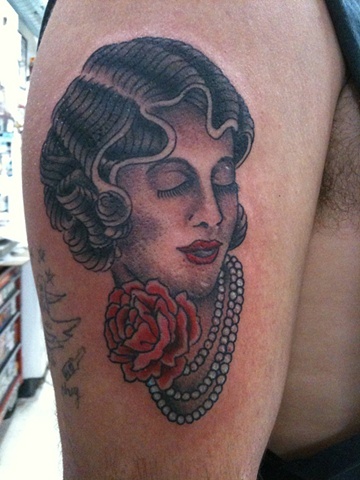 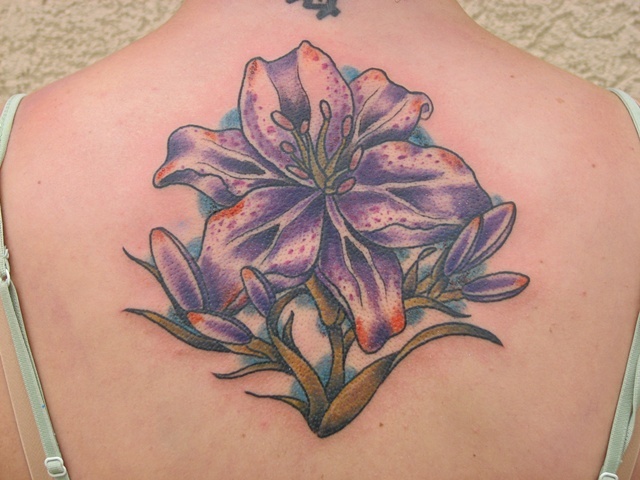 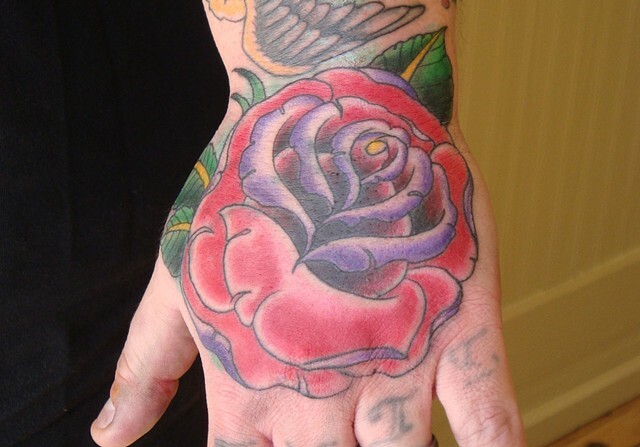 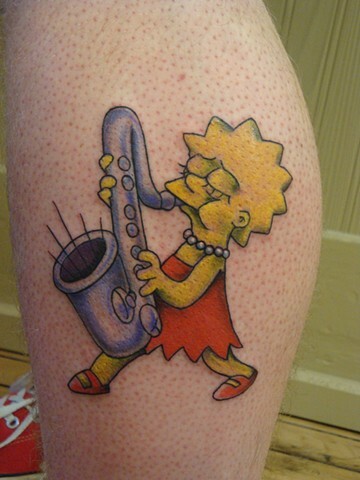 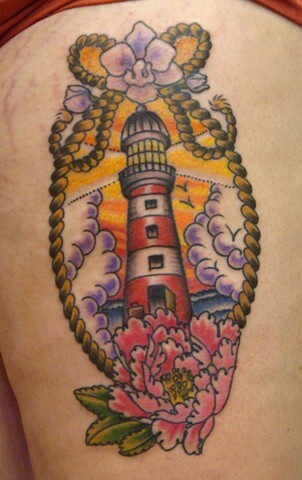 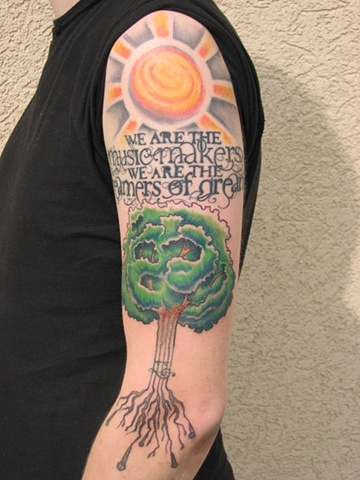 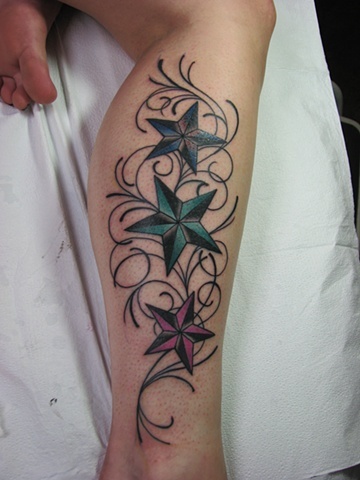 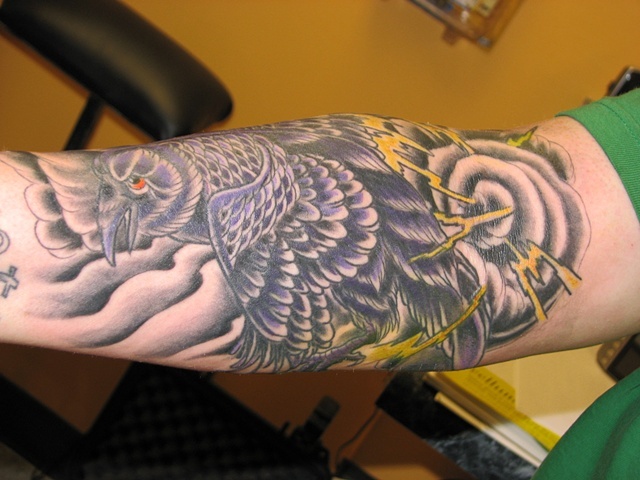 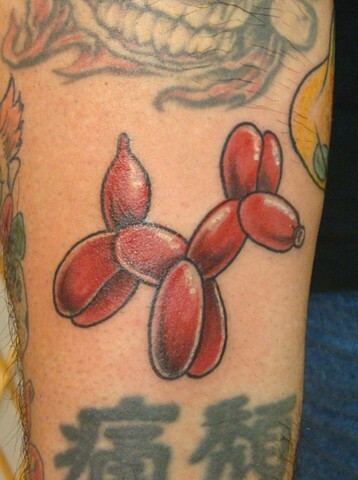 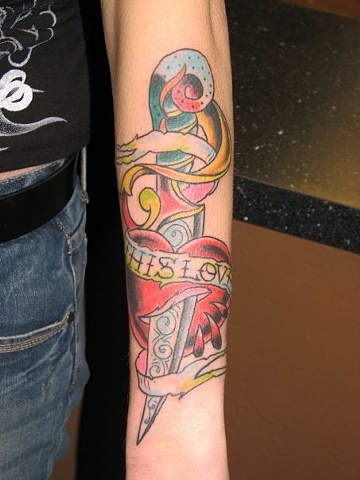 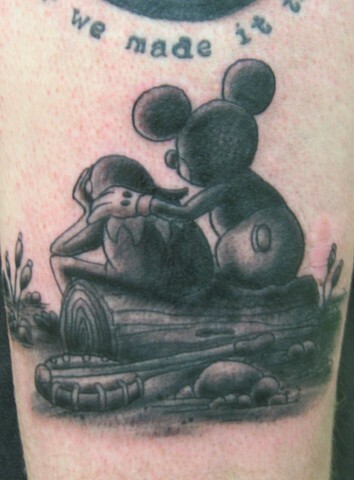 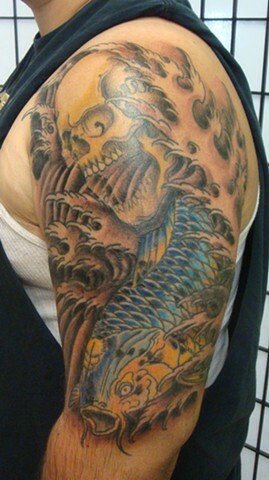 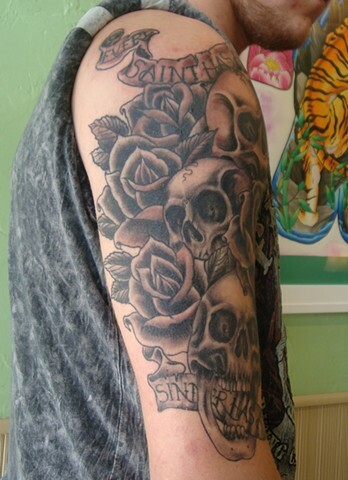 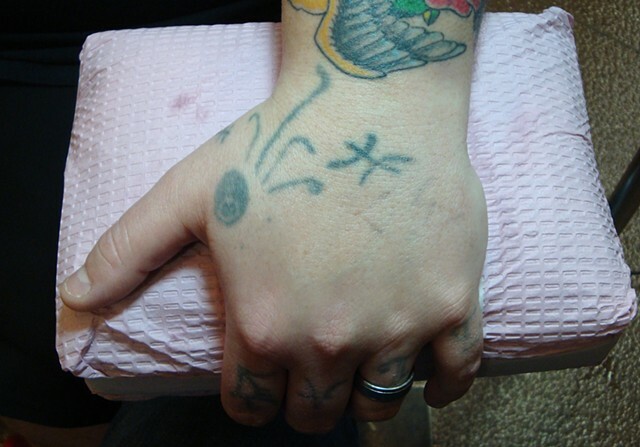 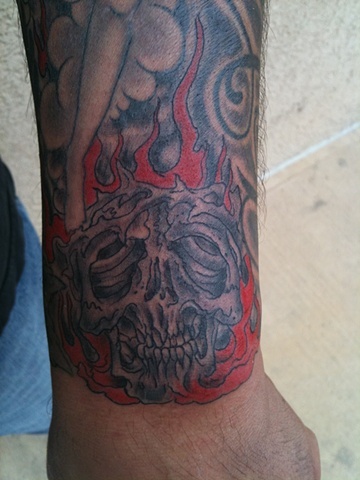 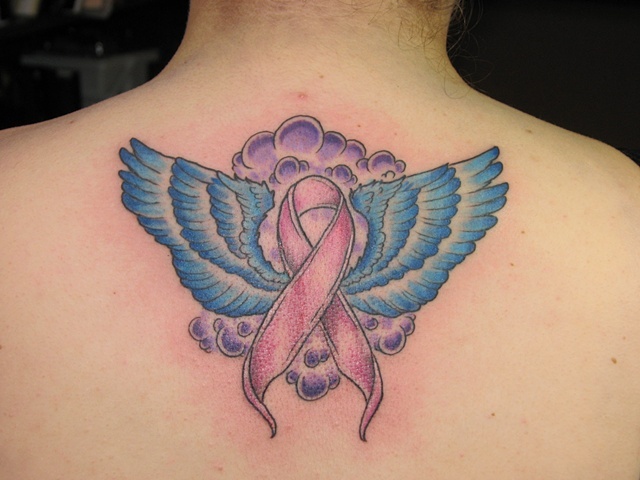 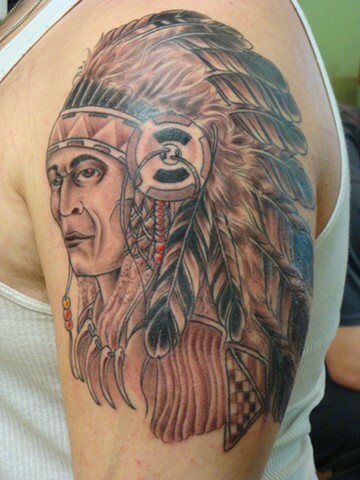 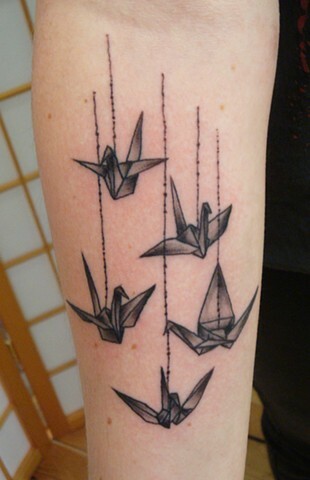 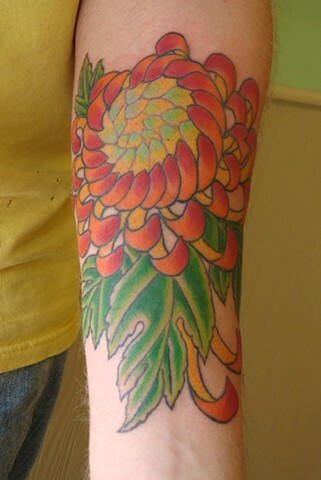 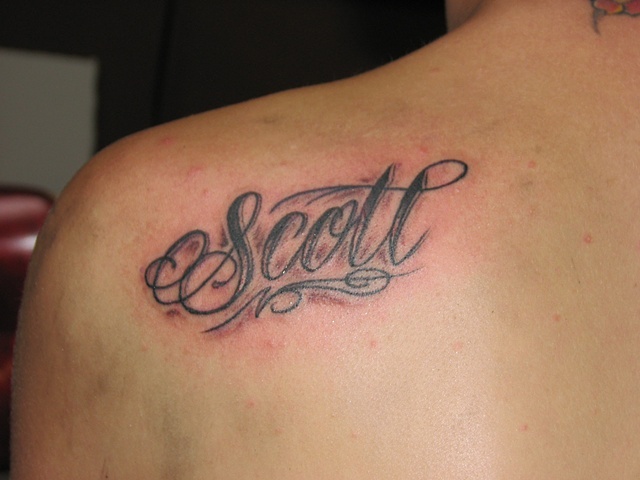 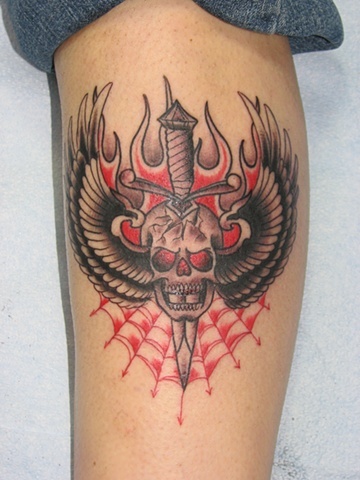 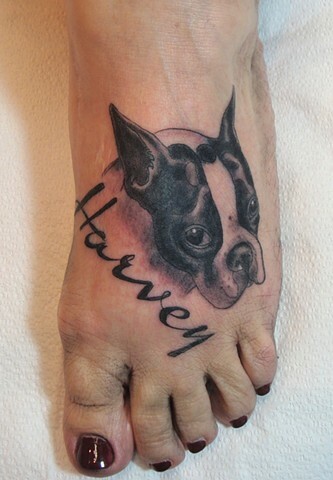 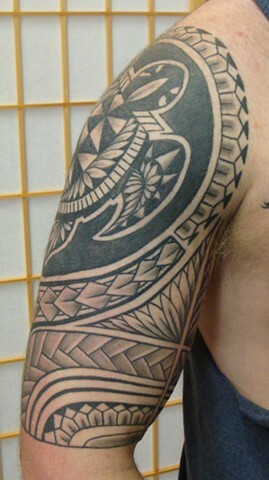 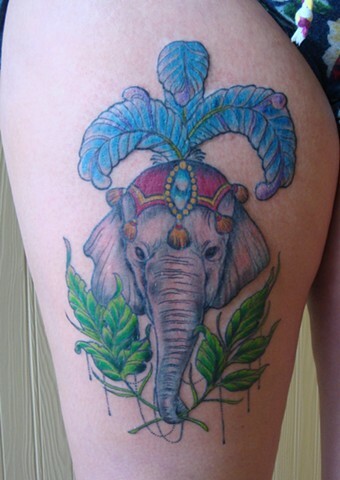 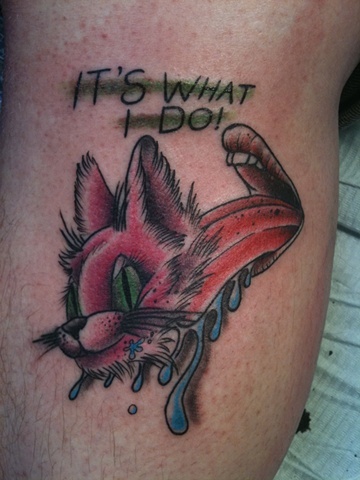 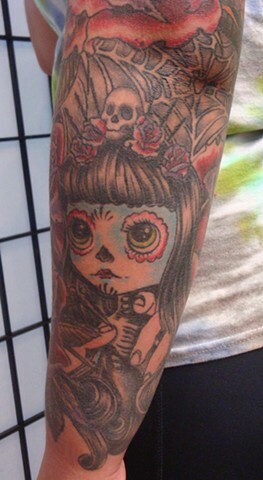 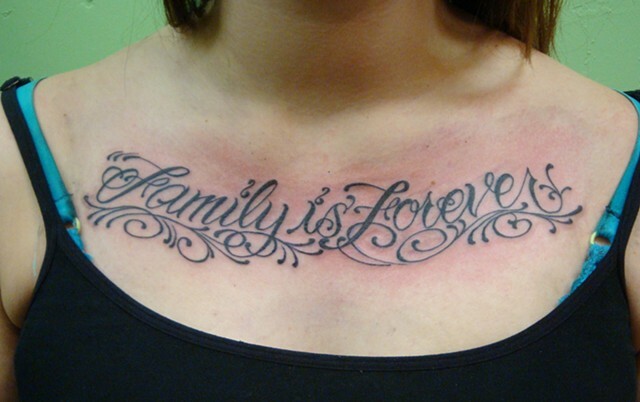 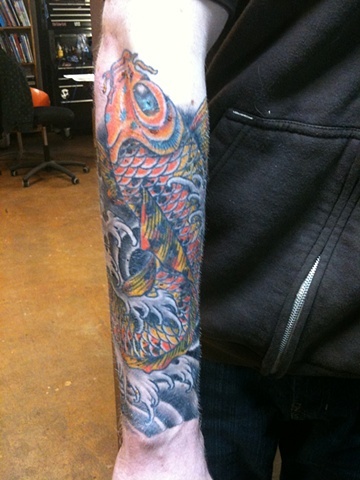 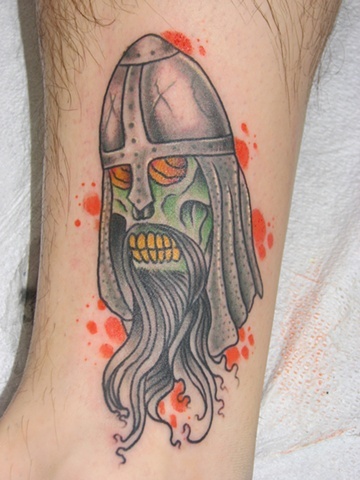 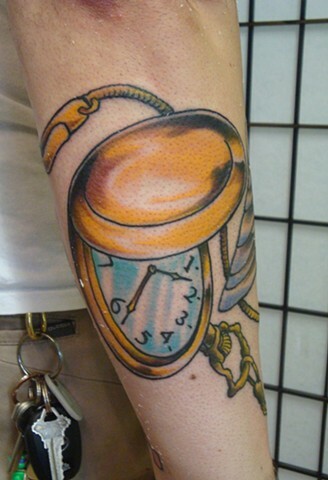 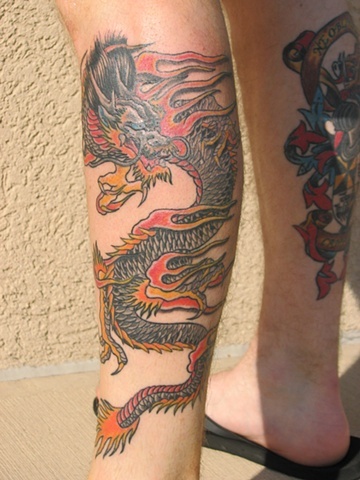 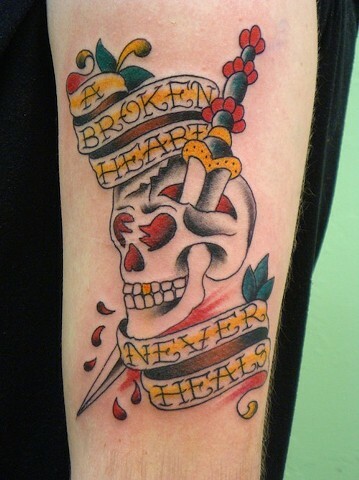 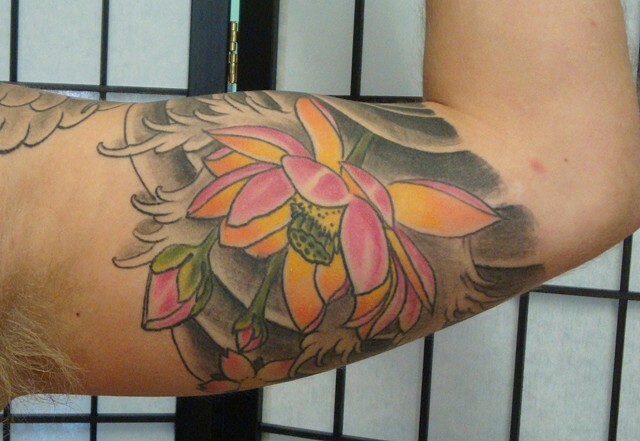 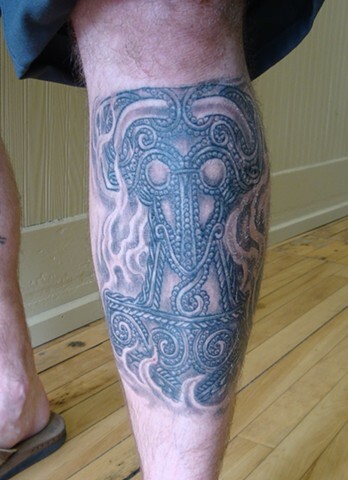 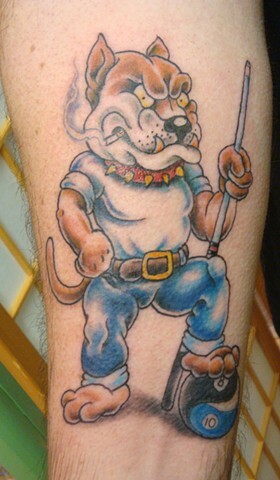 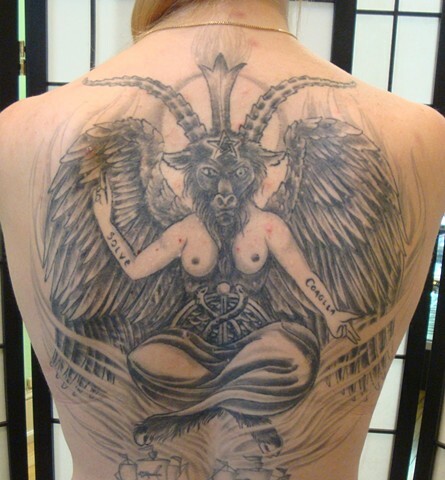 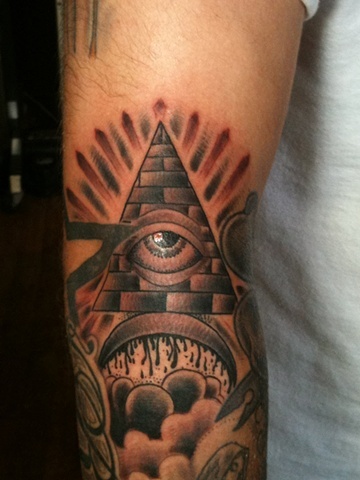 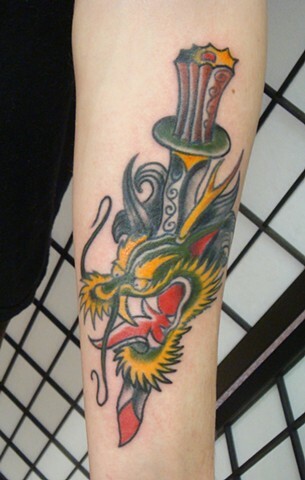 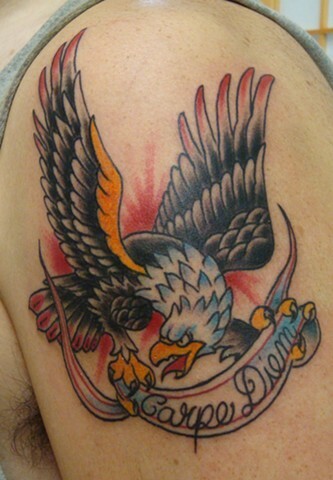 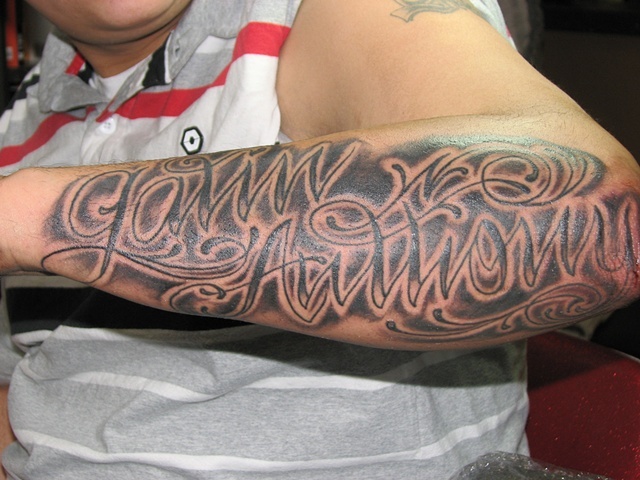 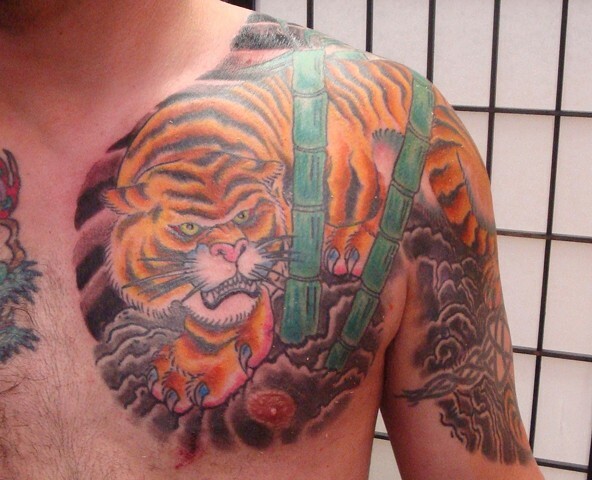 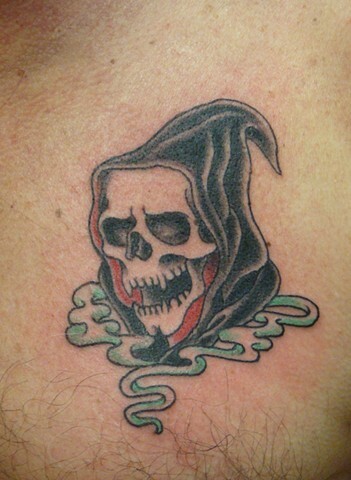 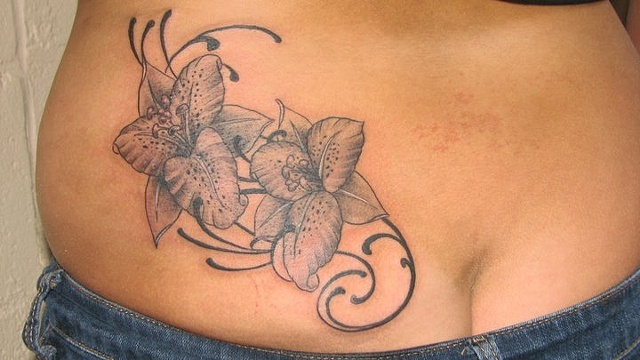 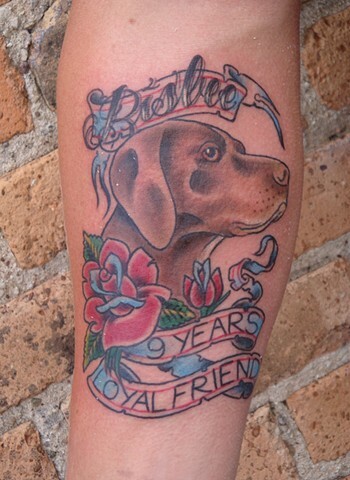 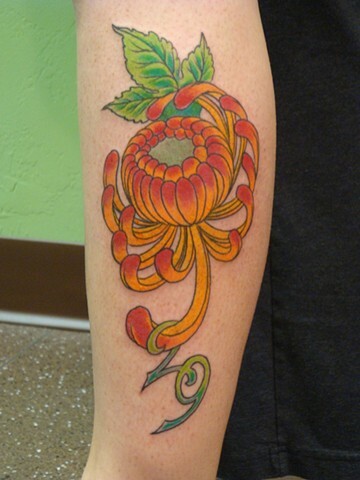 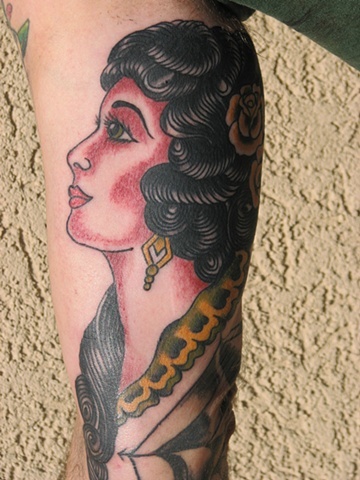 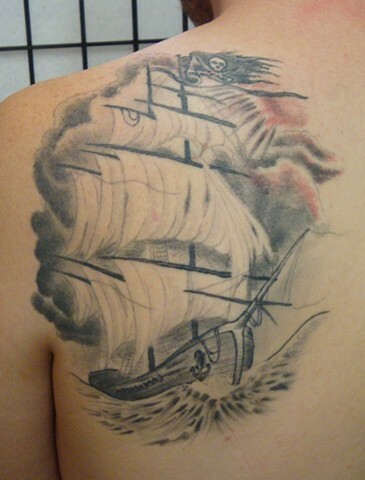 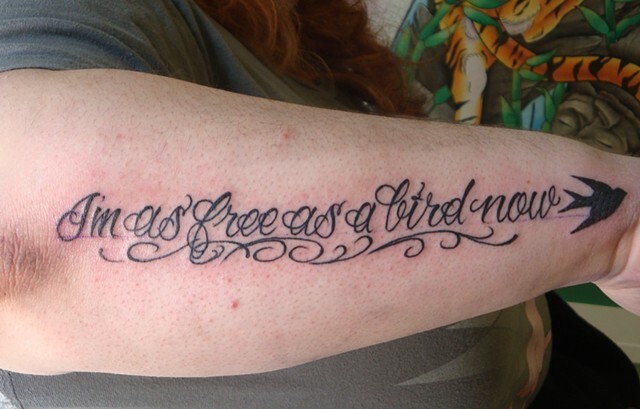 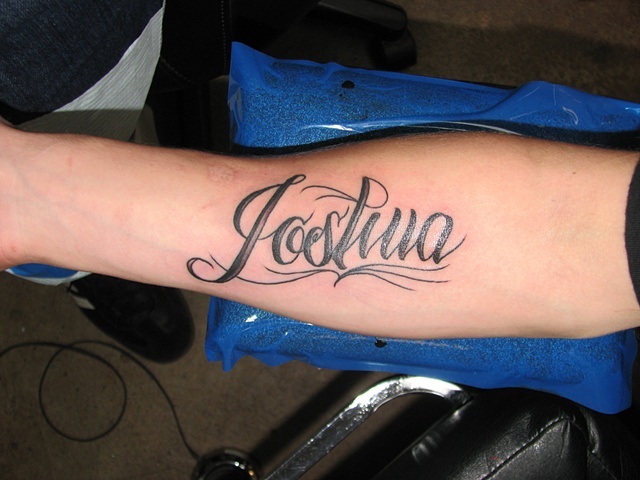 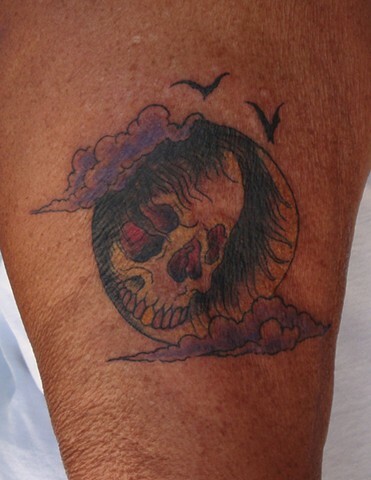 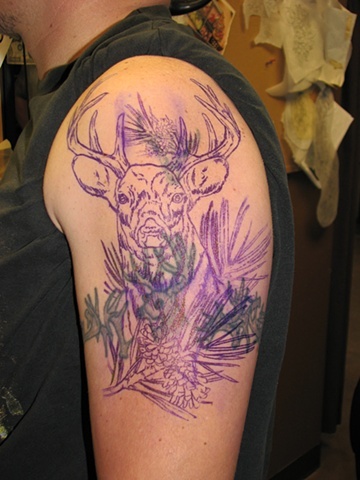 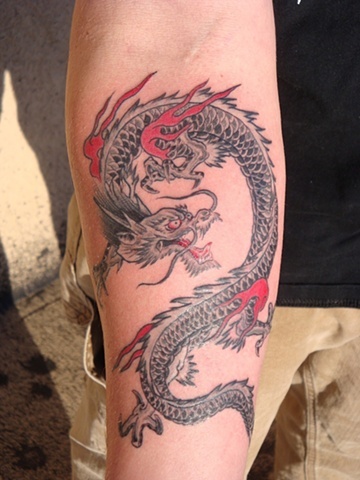 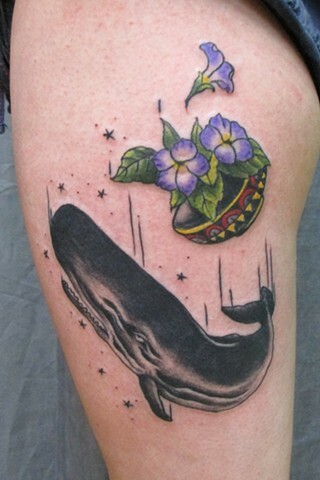 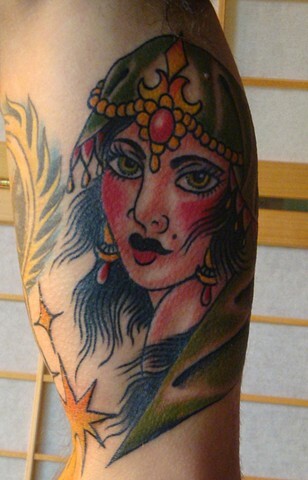 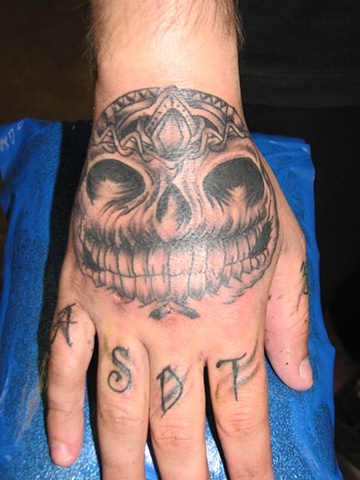 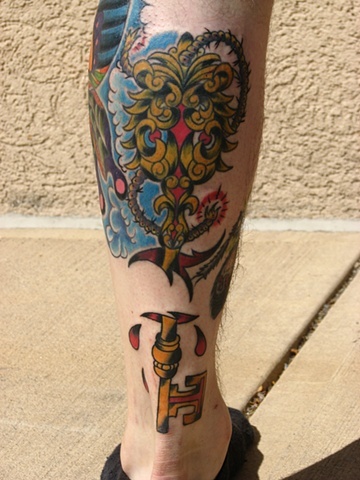 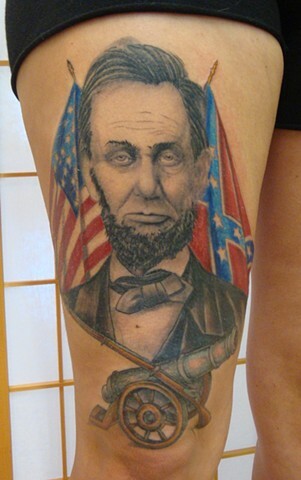 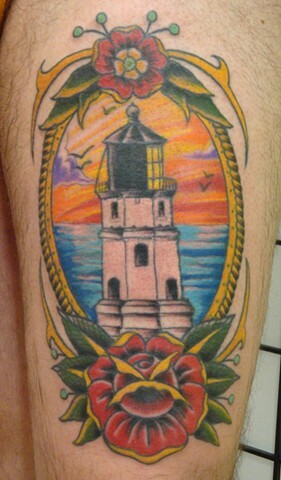 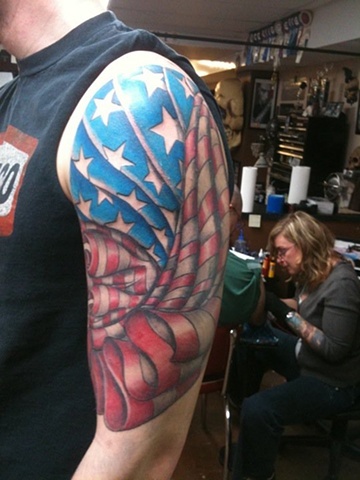 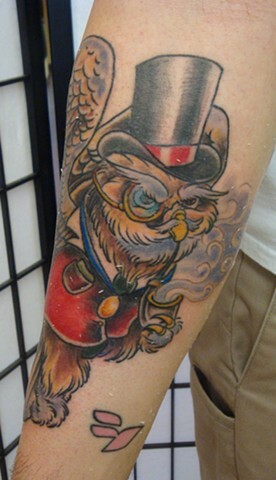 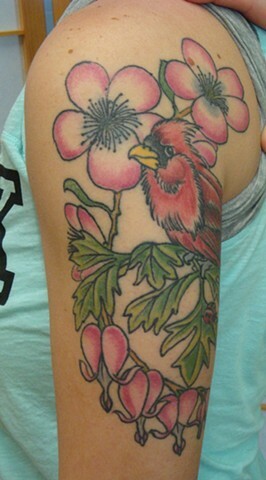 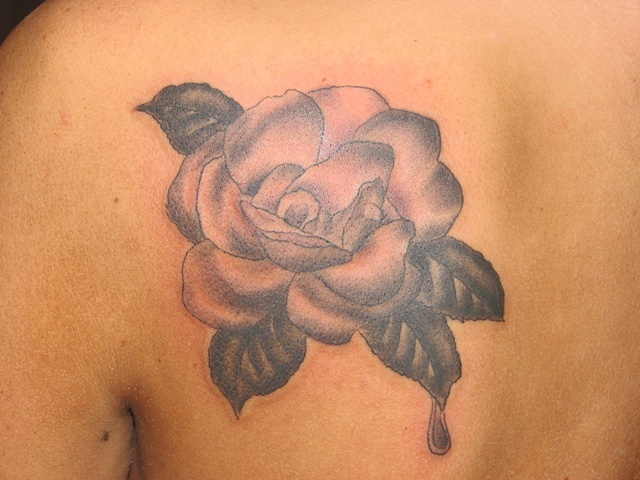 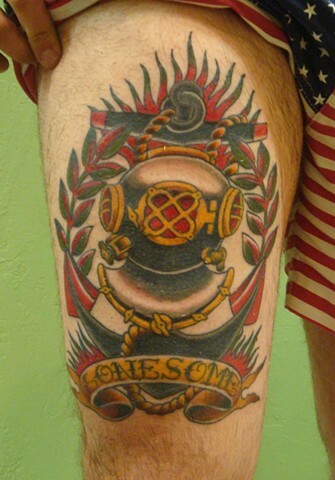 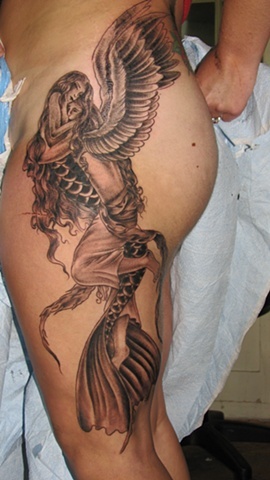 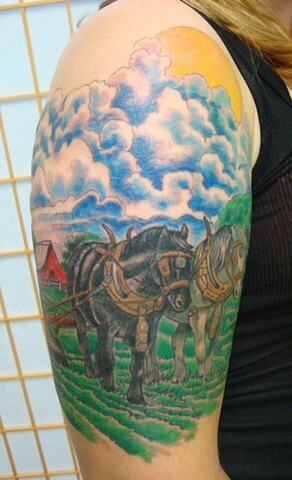 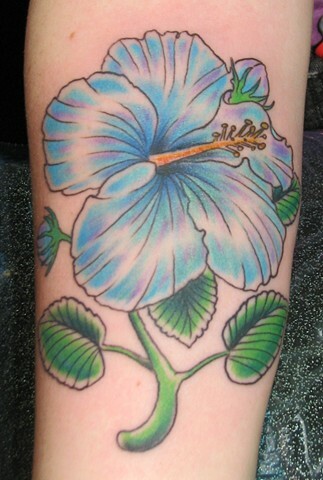 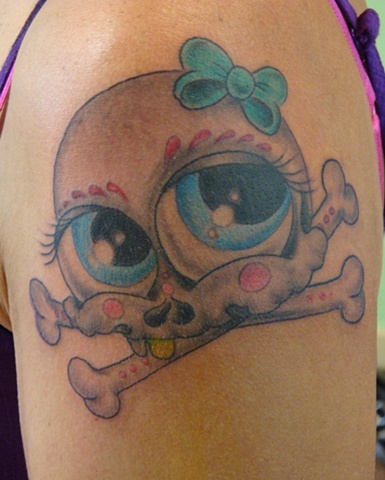 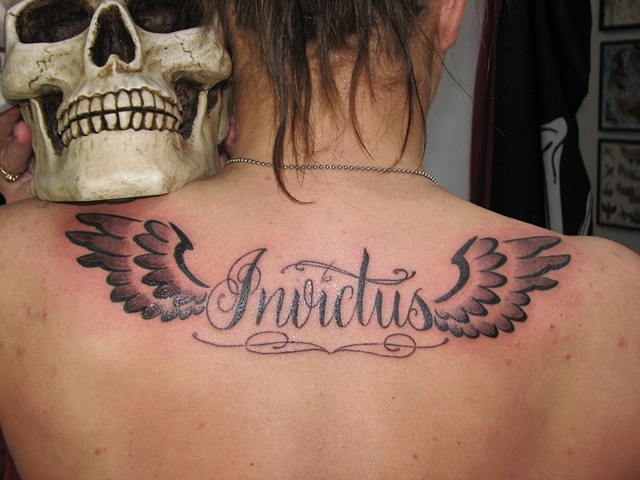 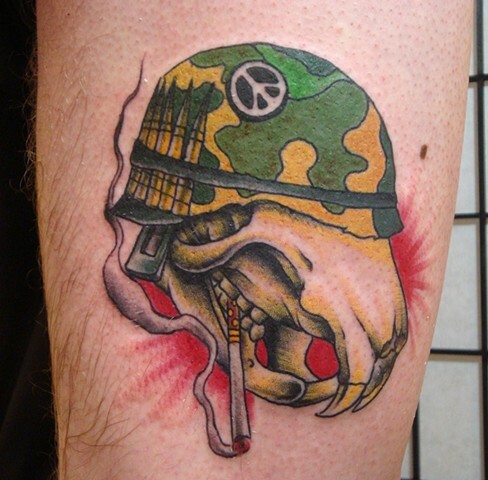 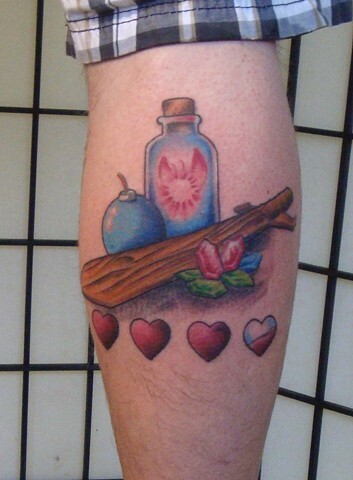 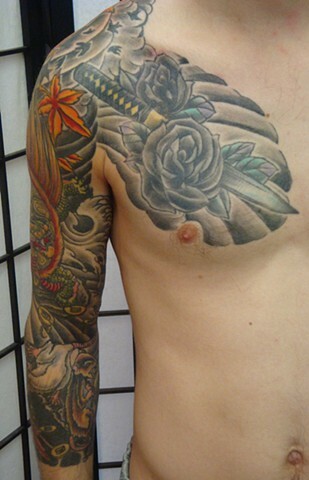 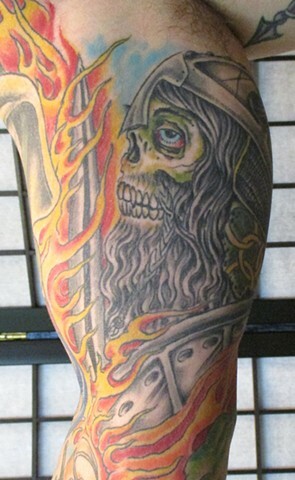 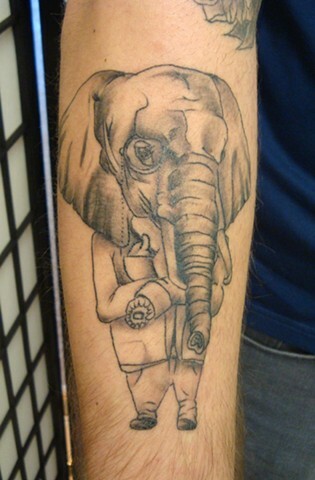 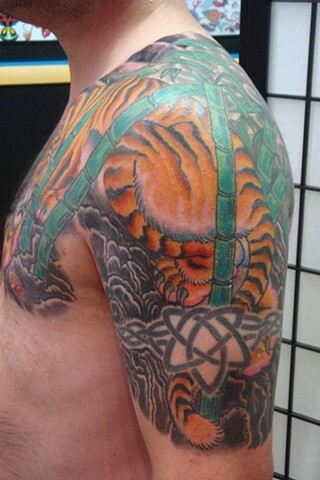 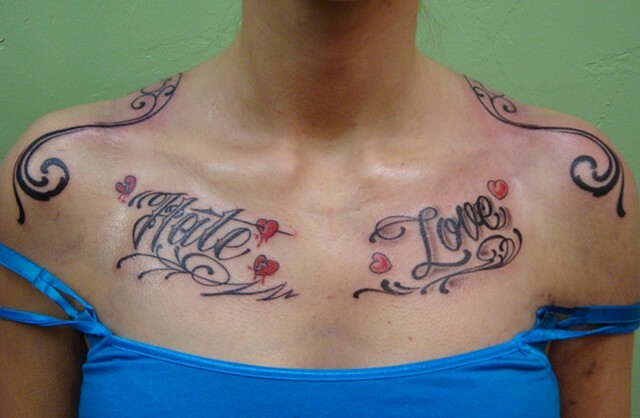 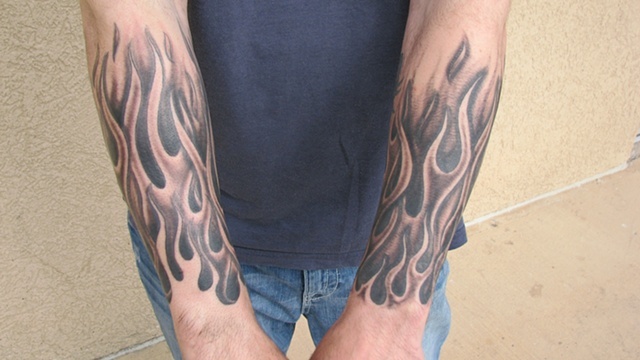 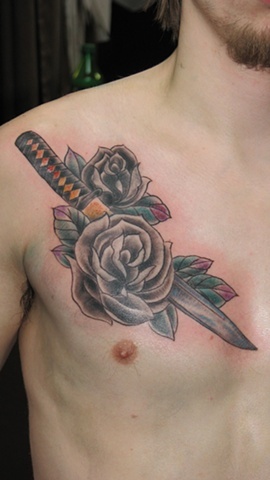 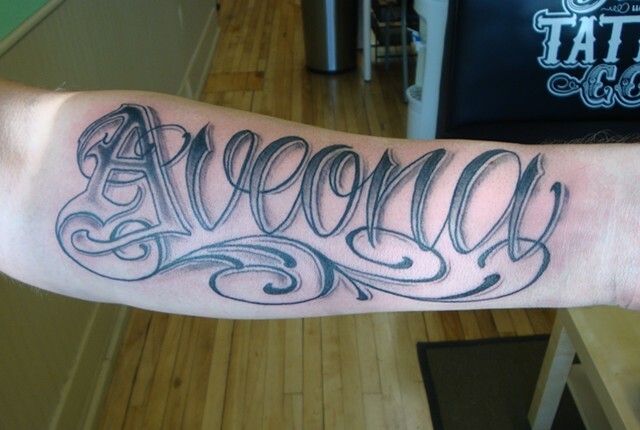 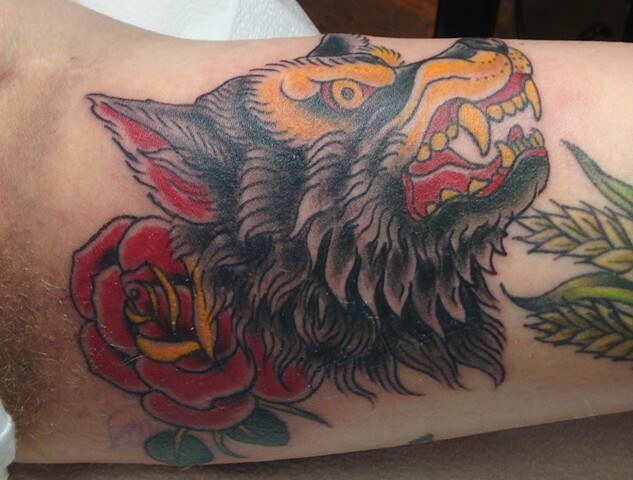 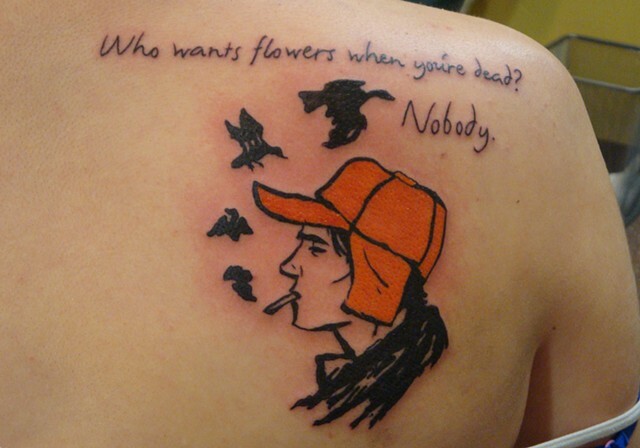 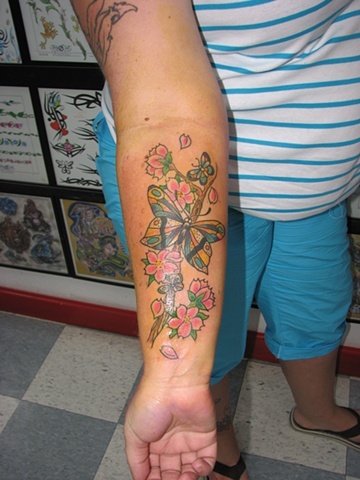 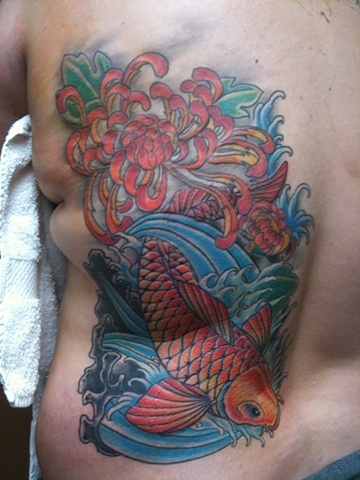 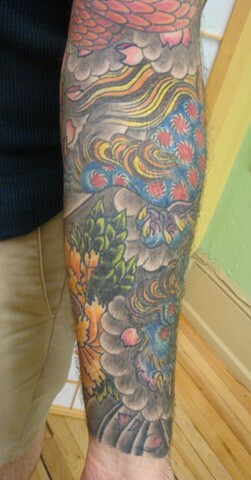 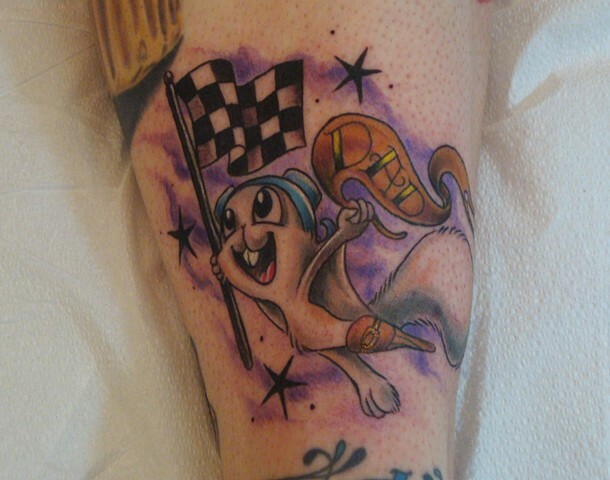 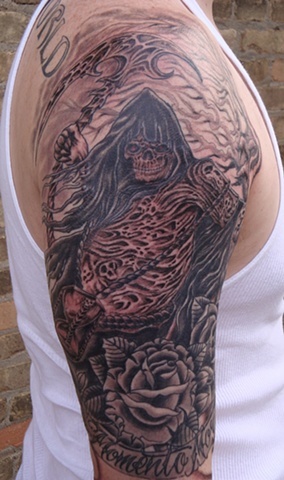 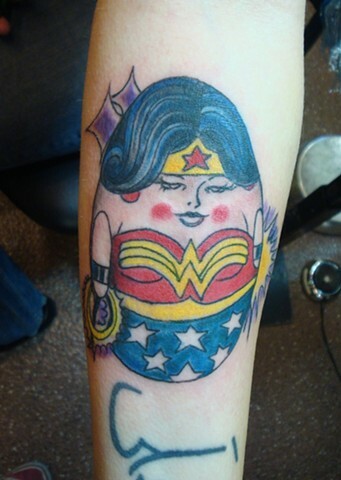 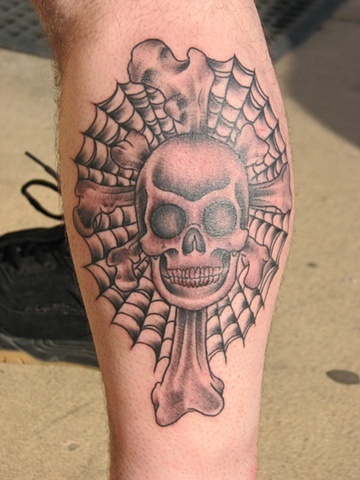 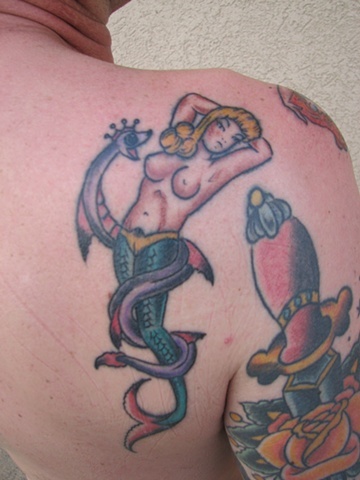 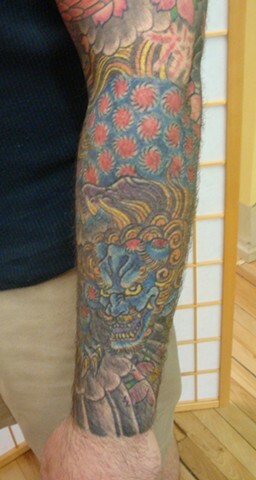 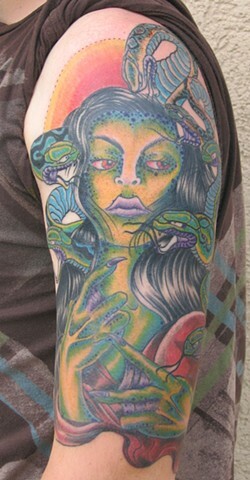 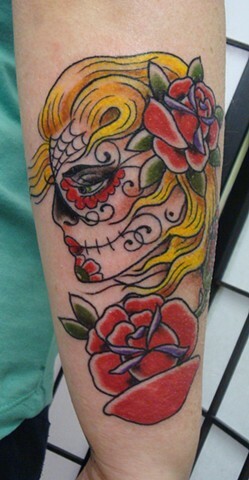 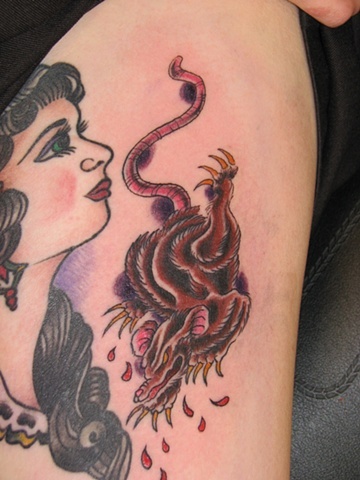 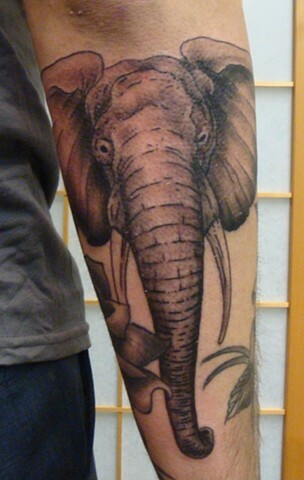 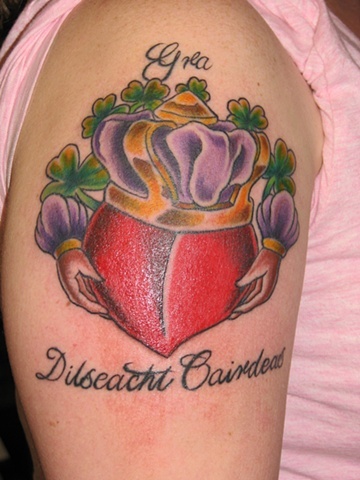 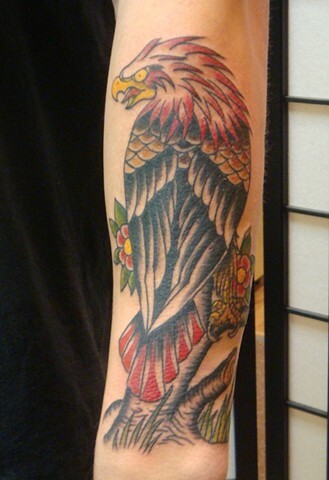 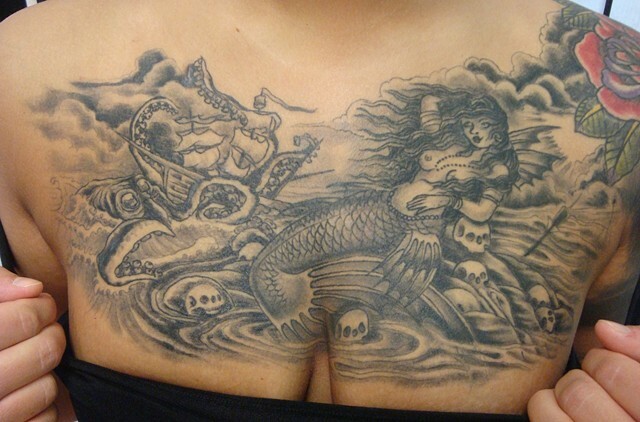 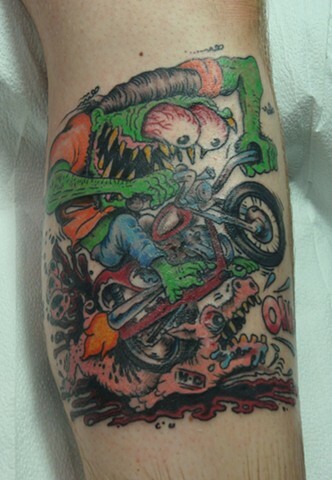 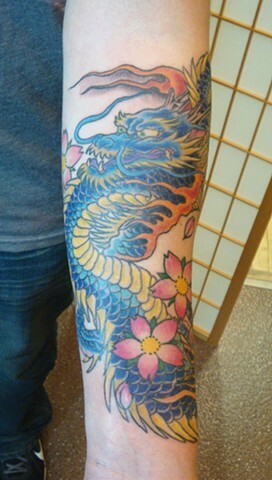 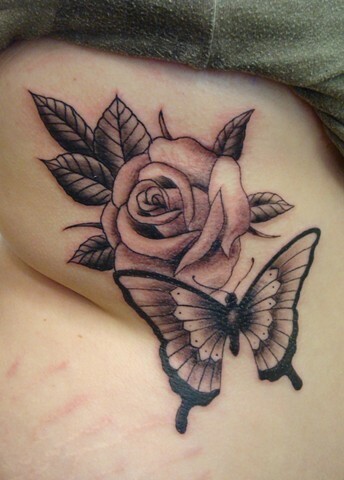 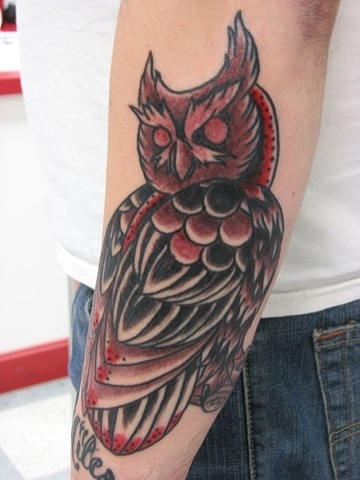 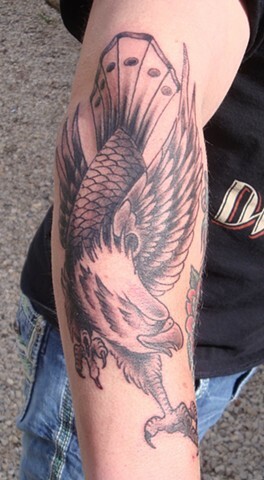 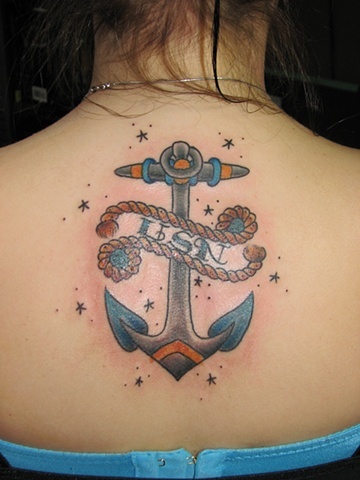 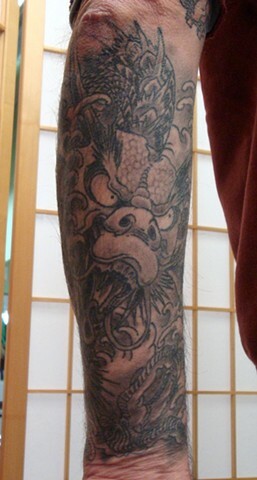 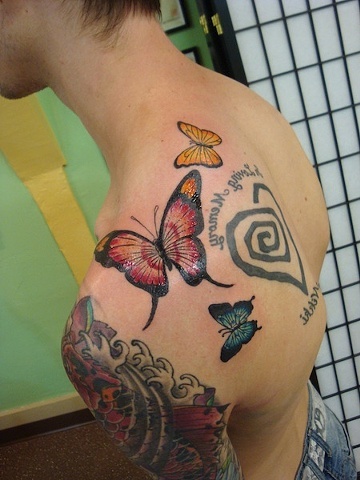 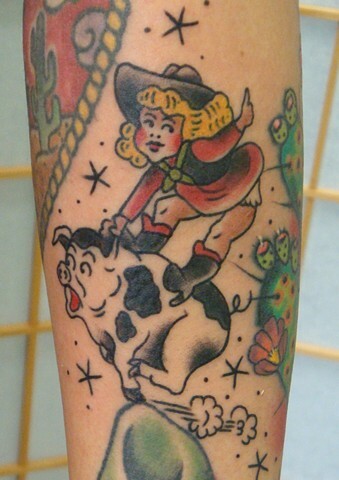 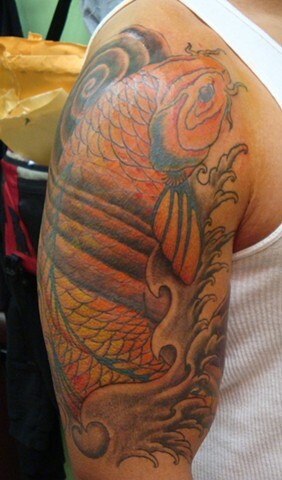 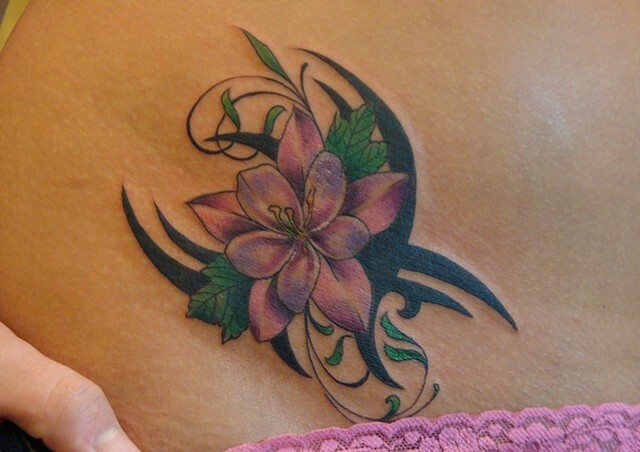 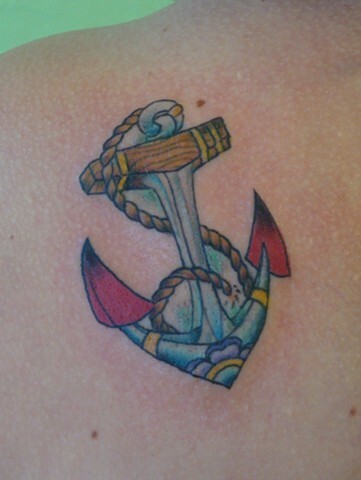 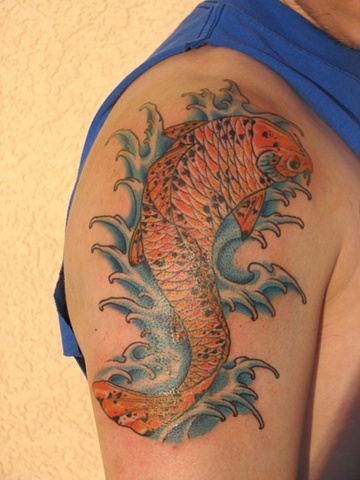 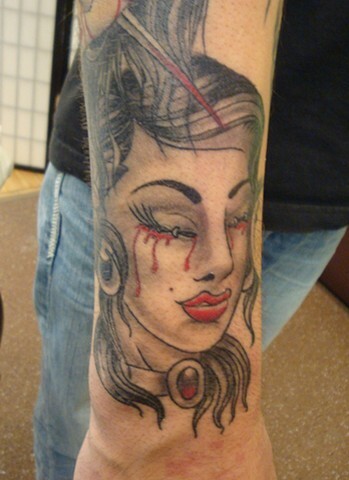 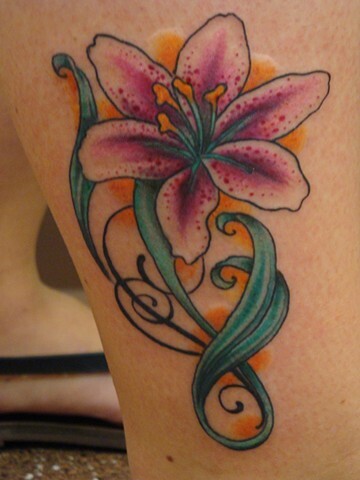 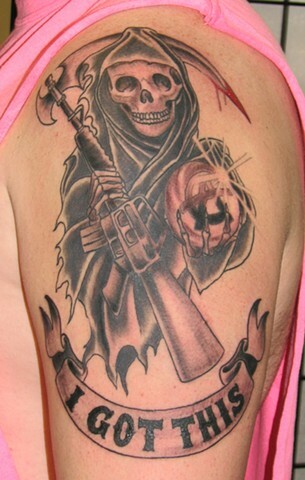 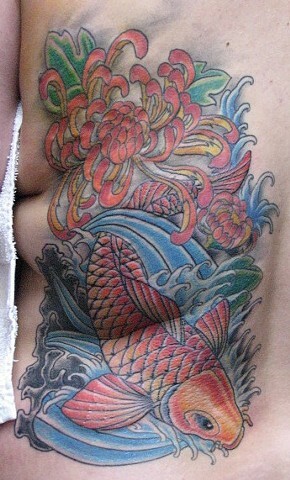 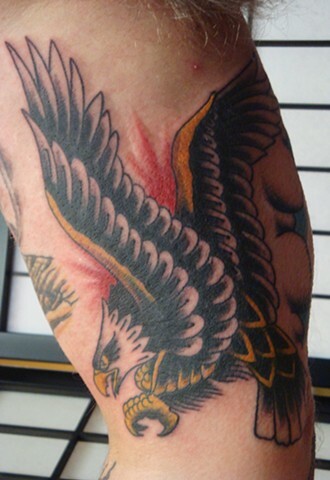 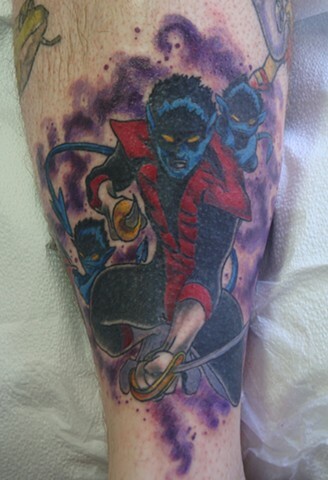 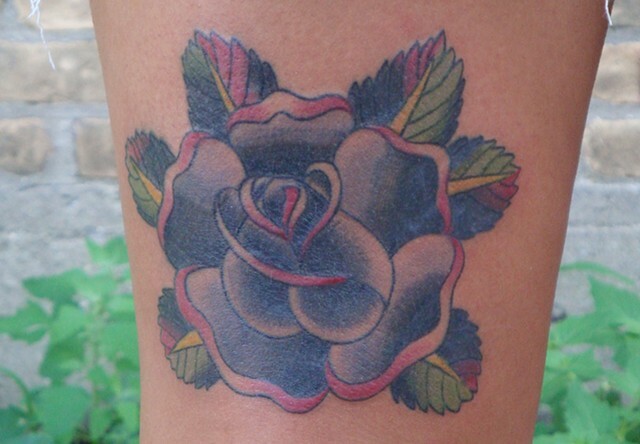 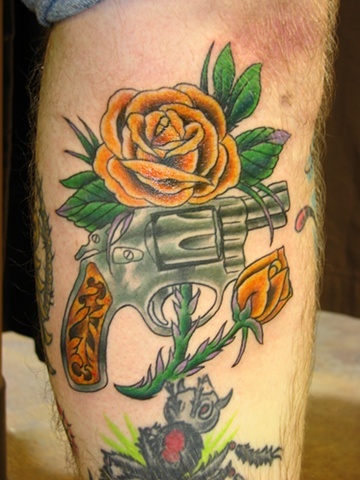 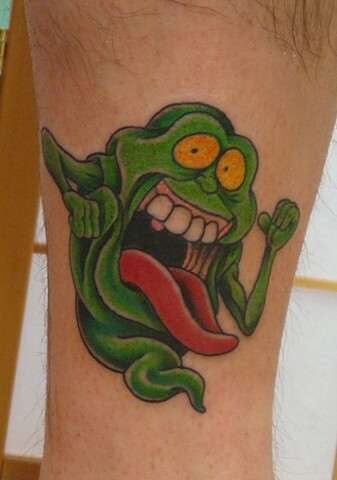 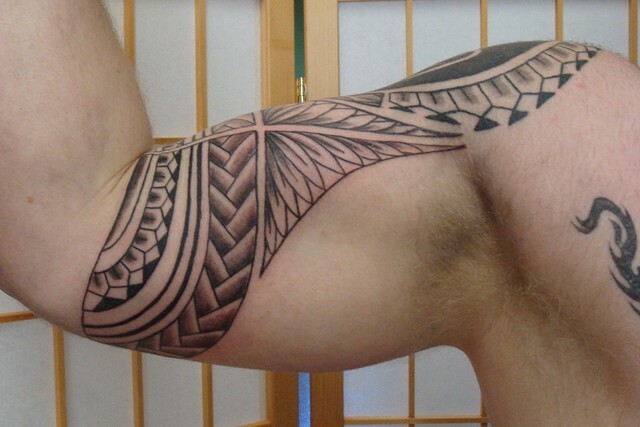 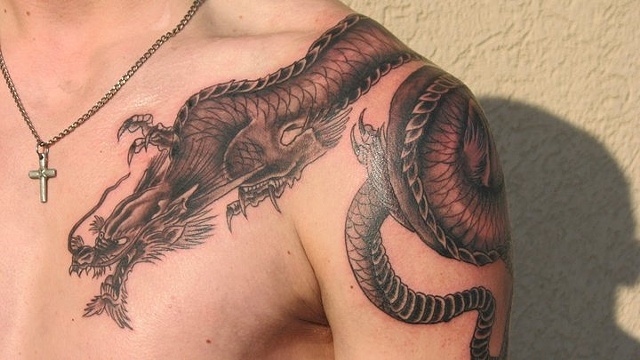 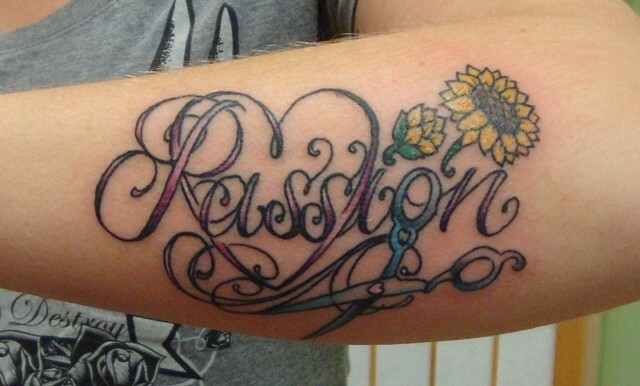 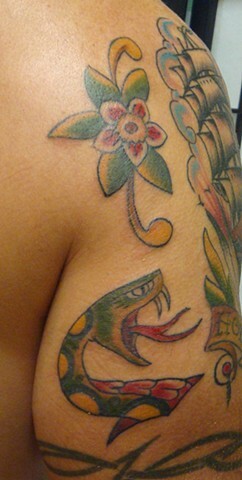 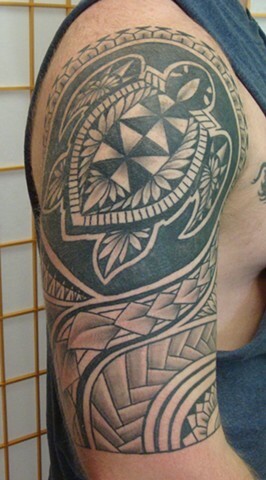 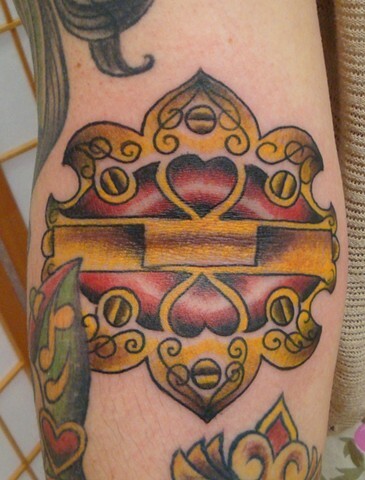 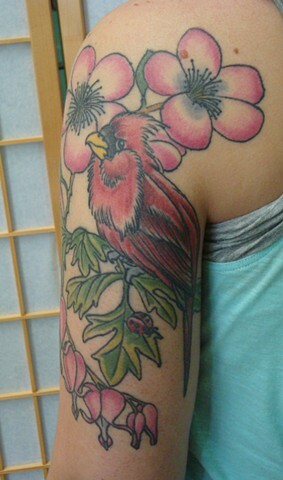 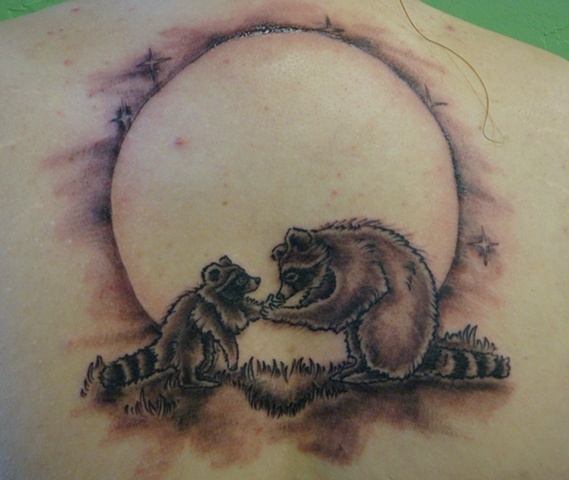 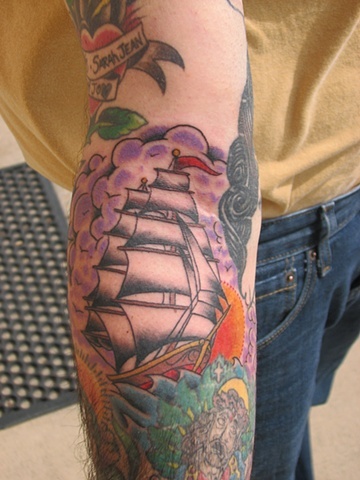 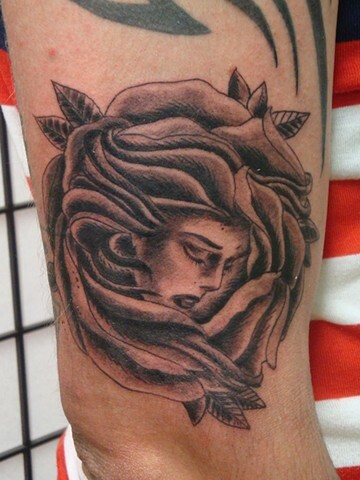 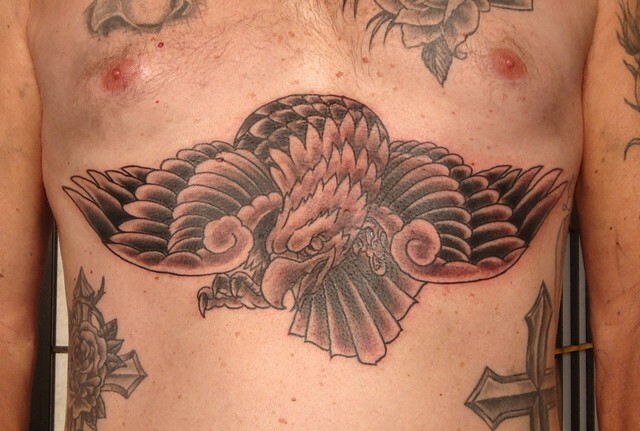 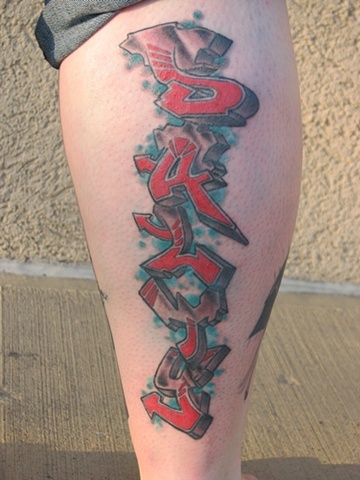 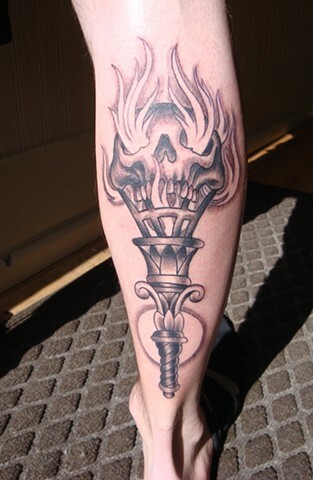 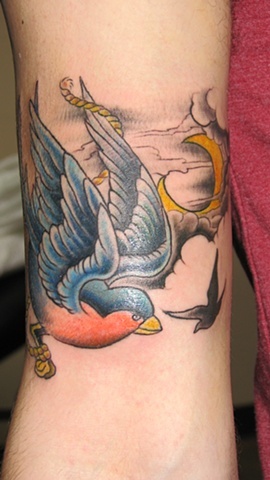 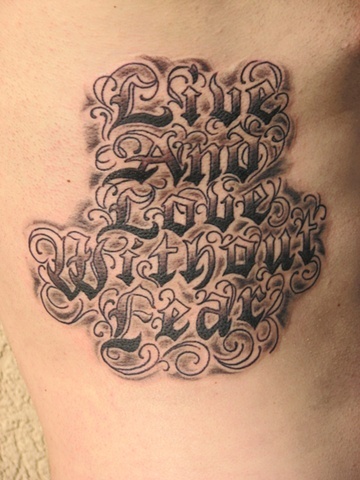 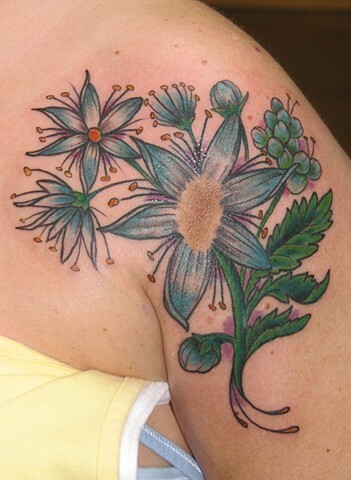 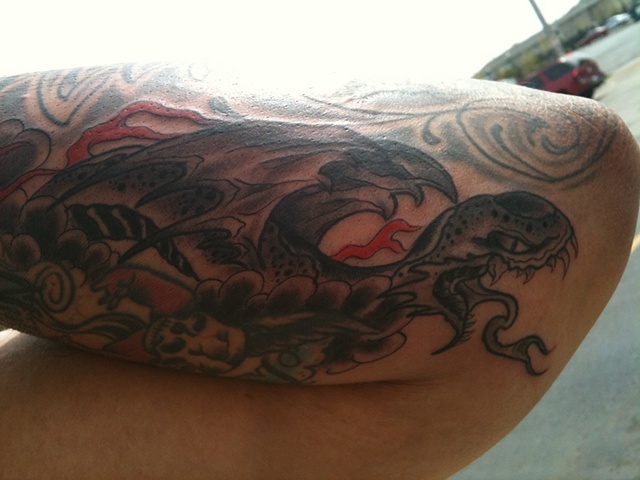 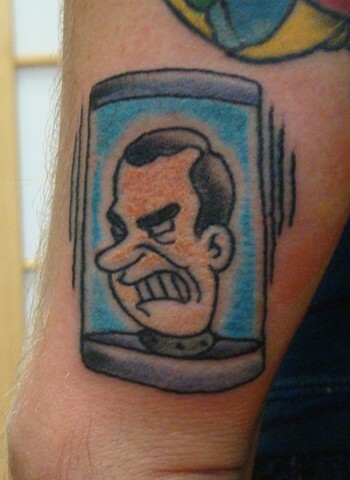 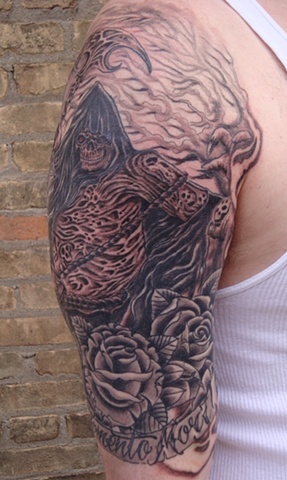 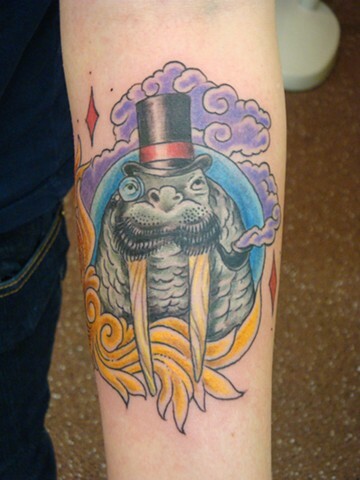 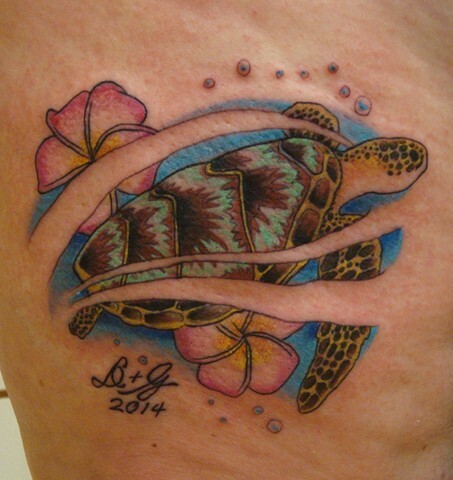 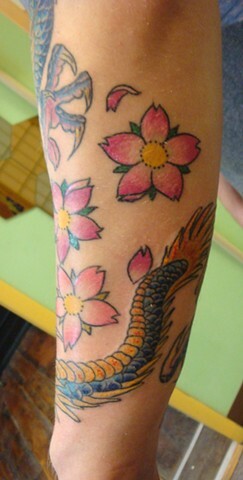 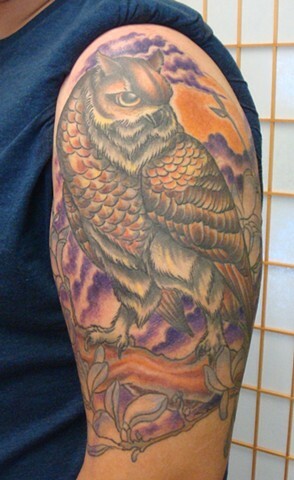 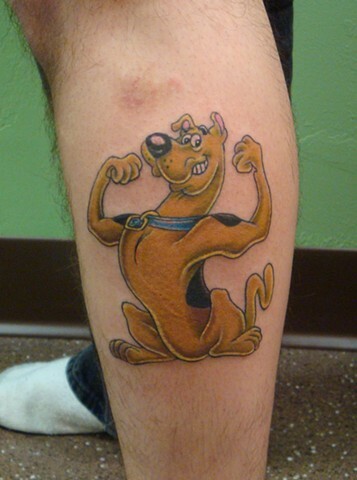 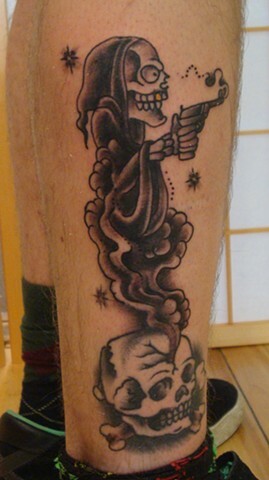 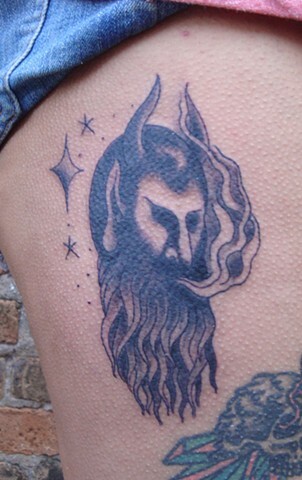 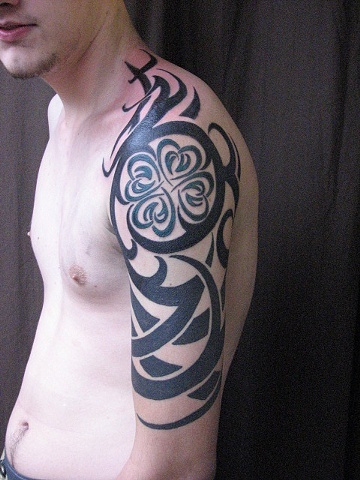 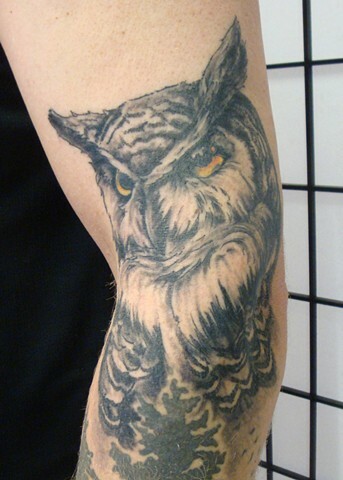 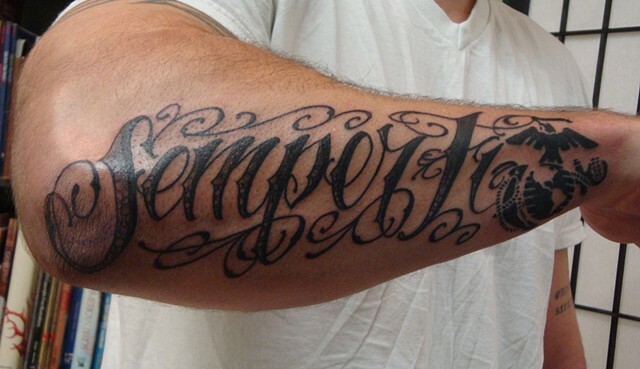 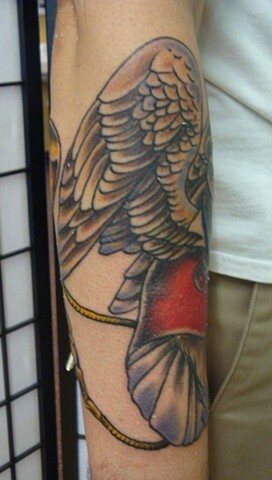 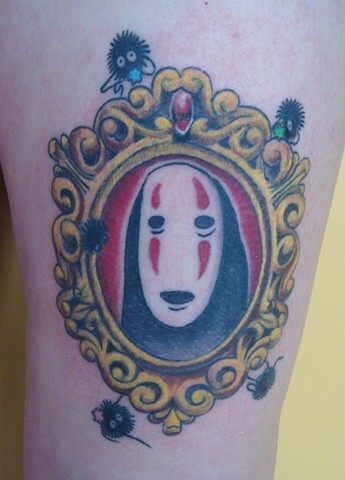 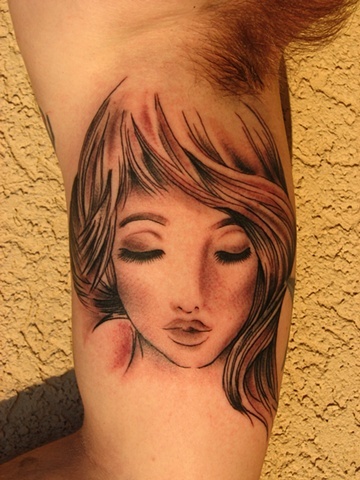 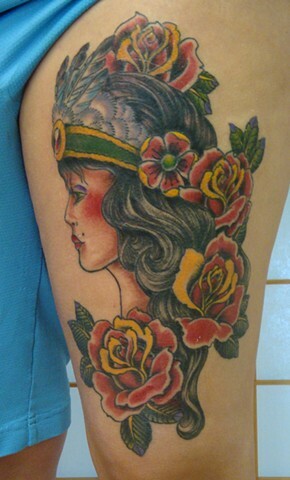 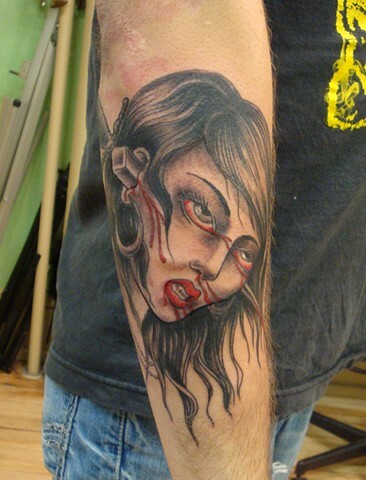 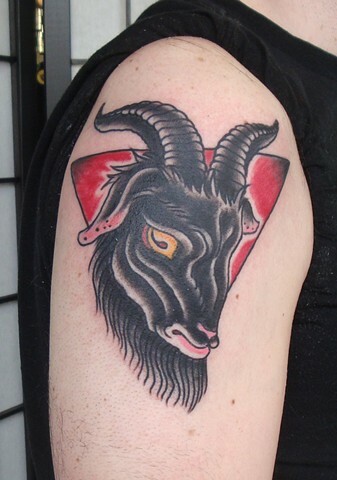 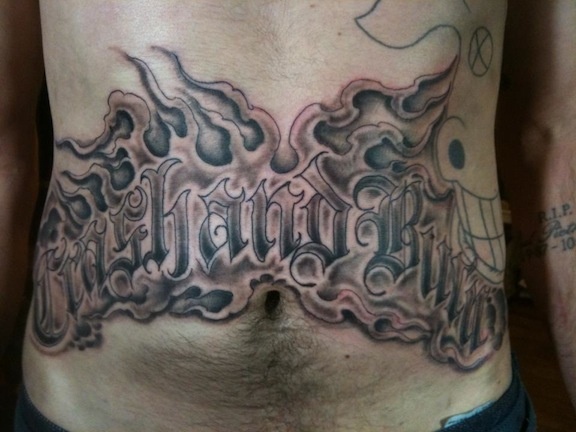 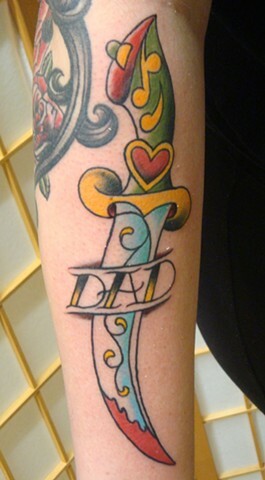 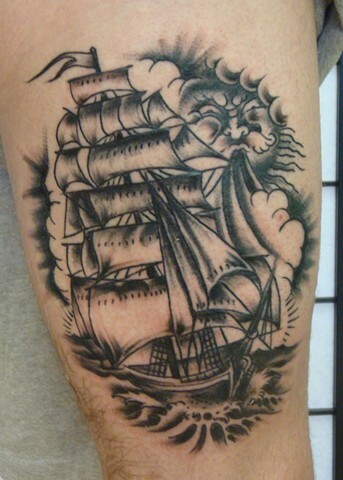 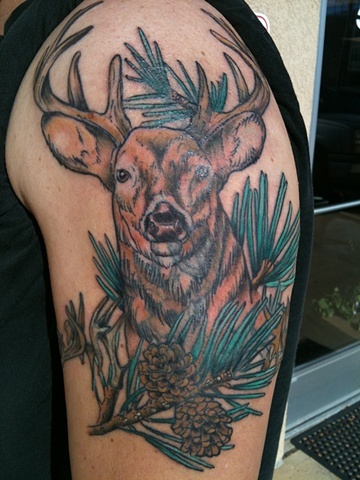 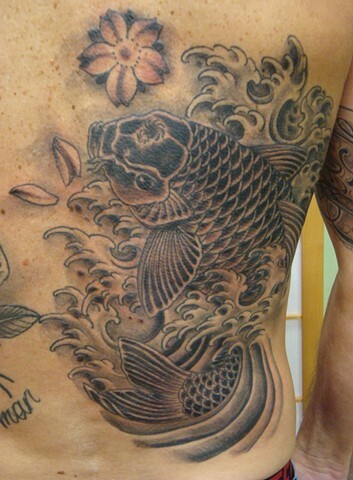 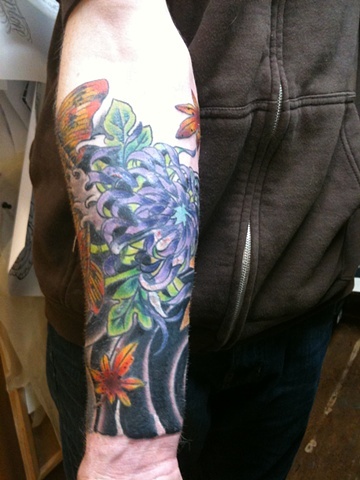 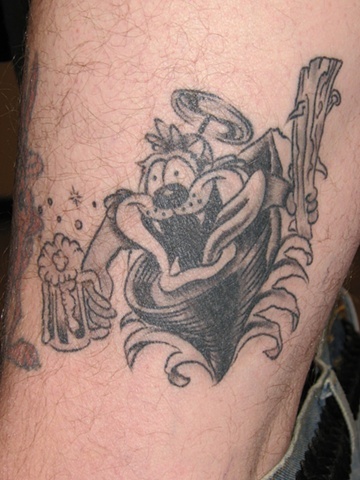 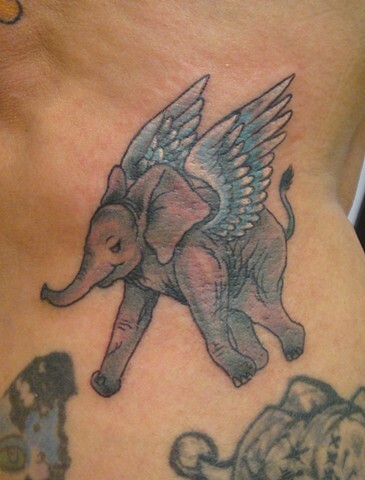 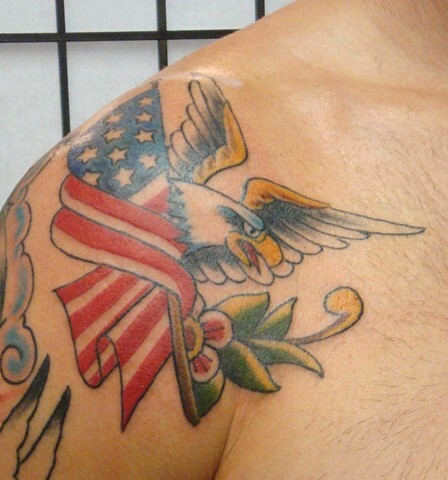 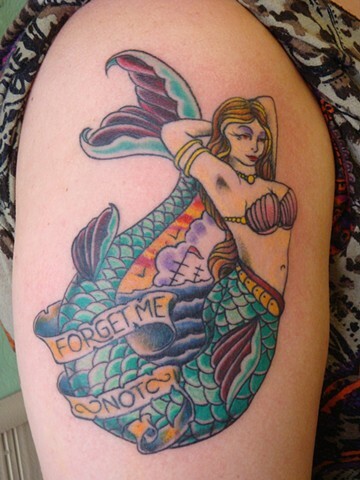 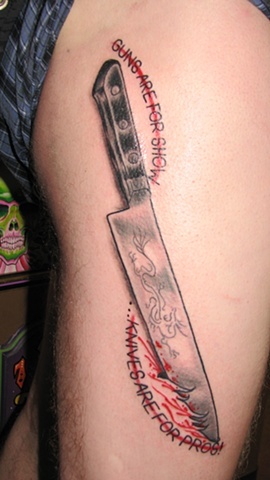 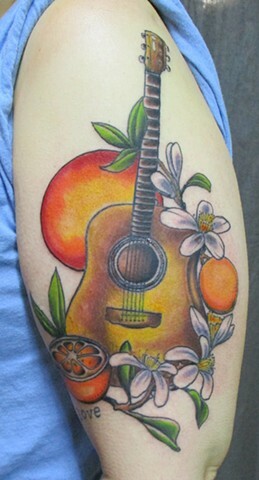 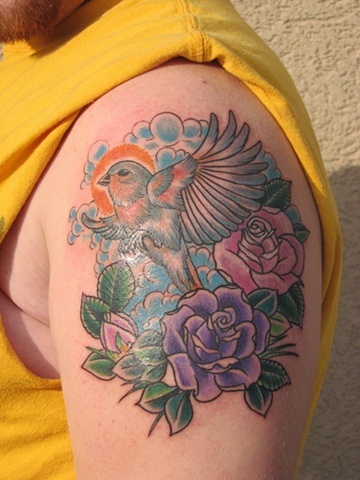 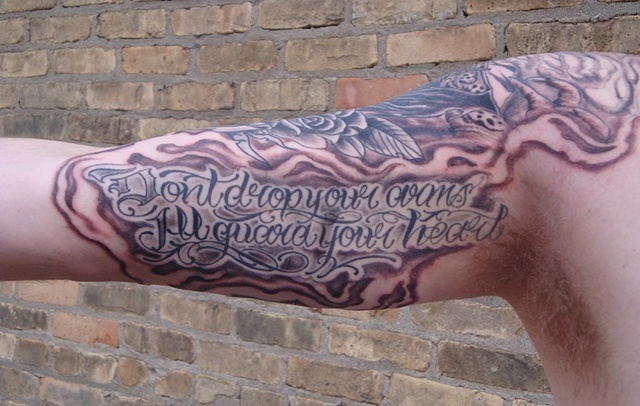 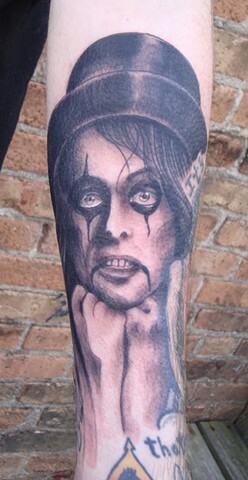 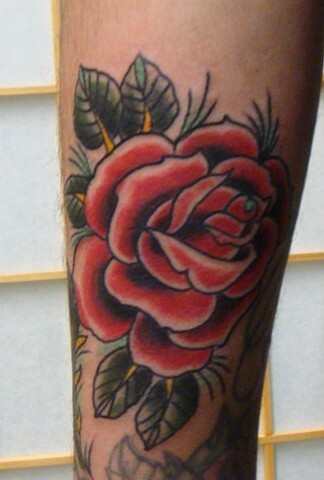 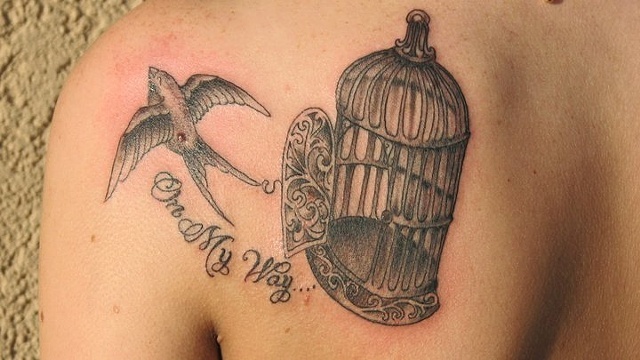 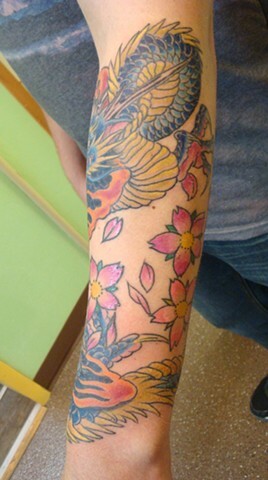 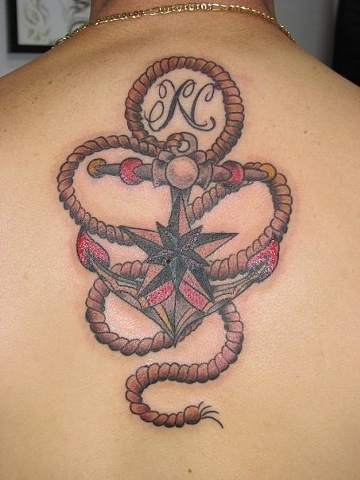 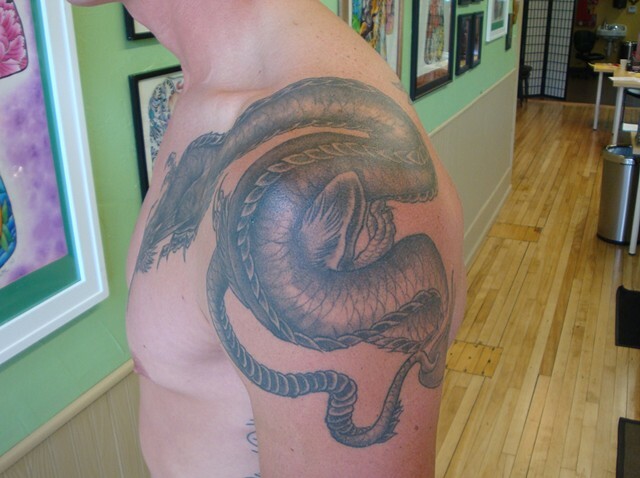 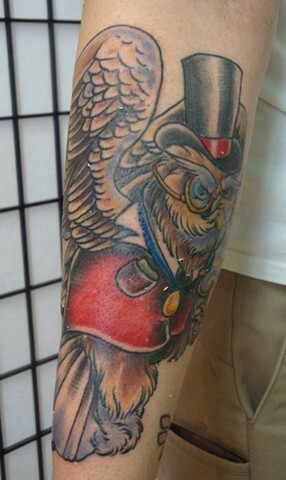 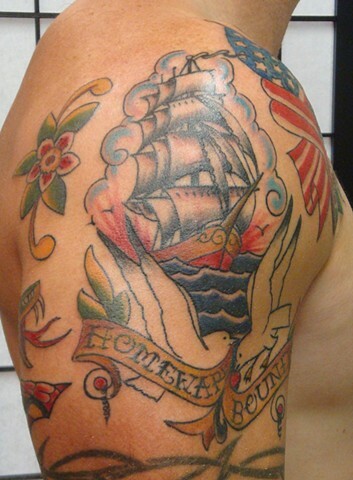 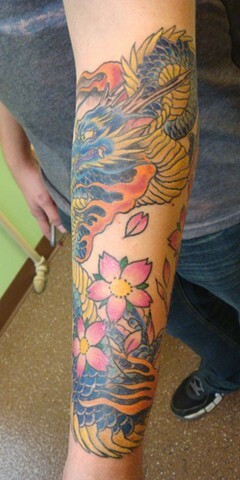 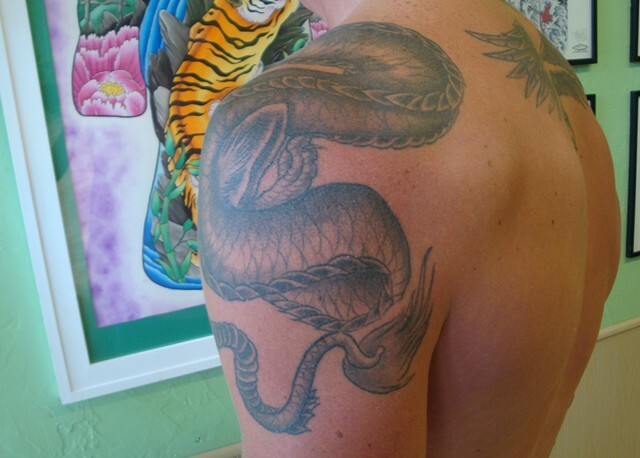 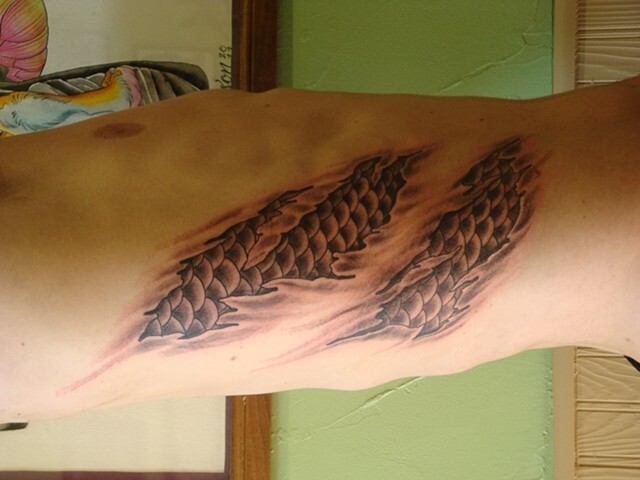 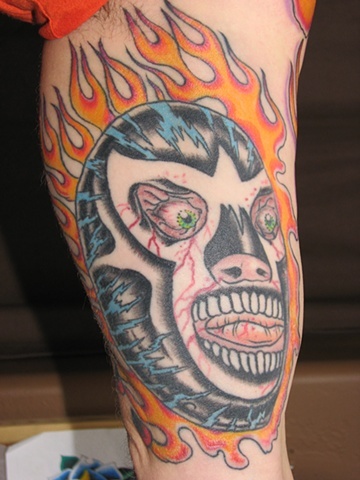 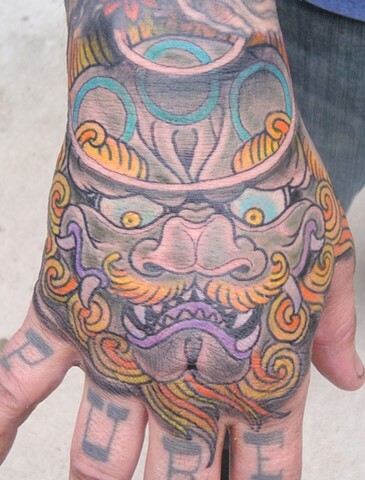 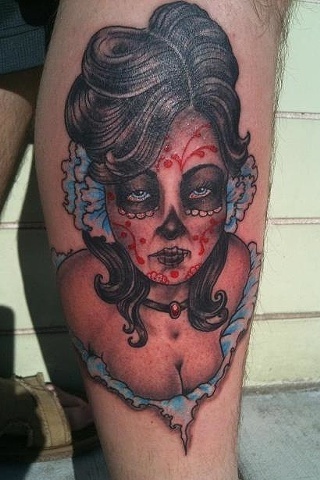 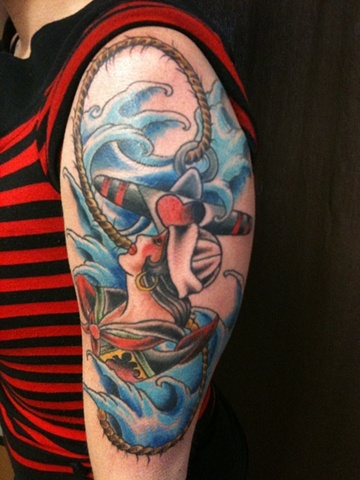 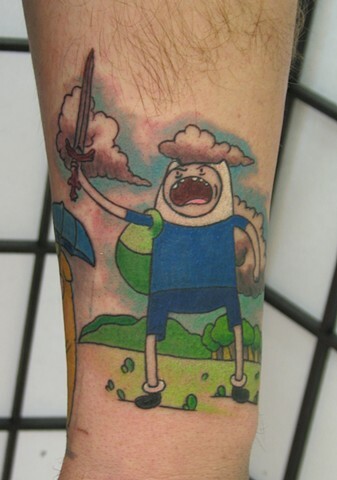 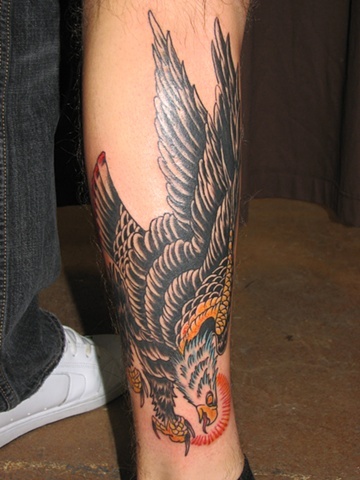 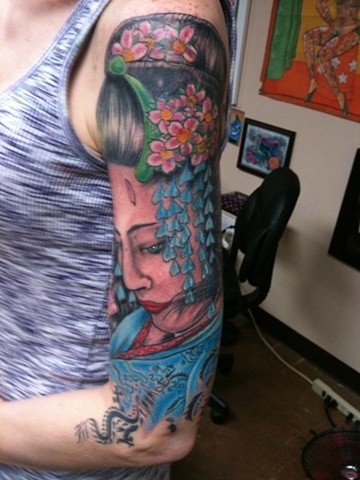 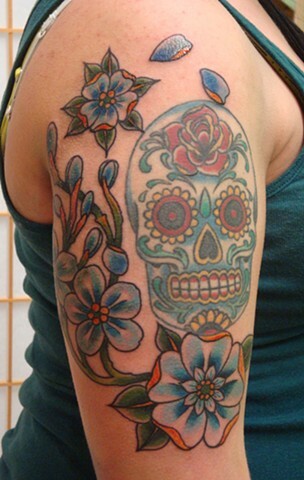 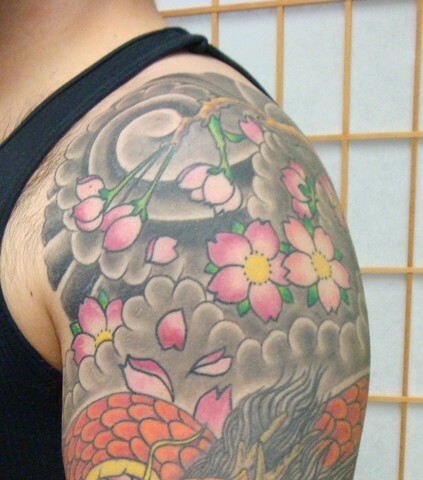 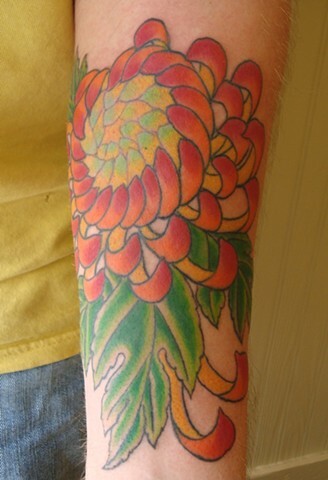 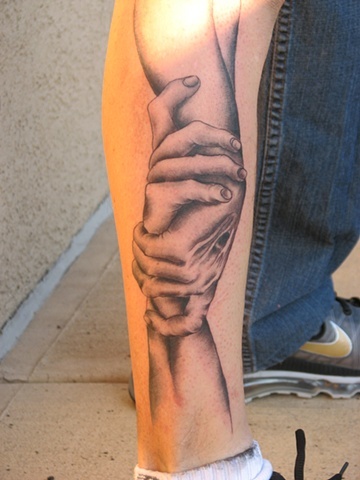 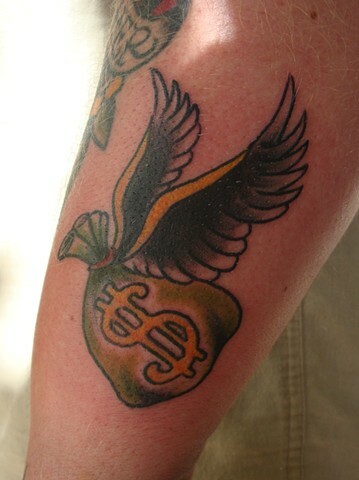 The reasons for getting tattooed, like the people that wear them, are as varied. 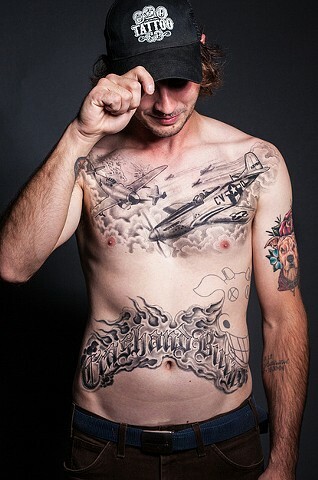 I try to collaborate with my clients to create the most unique and powerful image possible, while incorporating the traditional elements of tattoo art that make them stand the test of time. 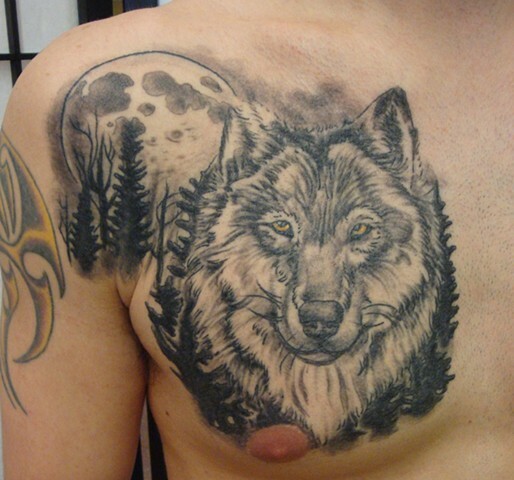 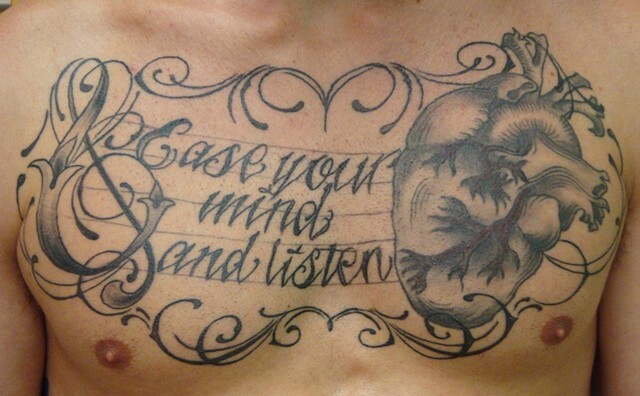 Happy and healed Chest piece from over 4 years ago! 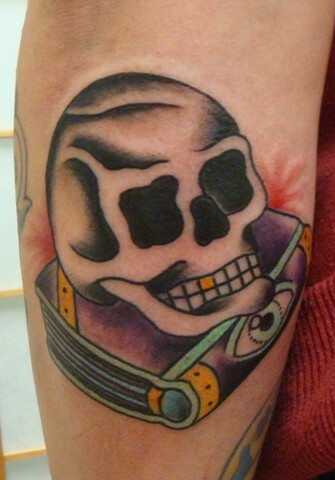 Hitchhikers guide to the galaxy piece. 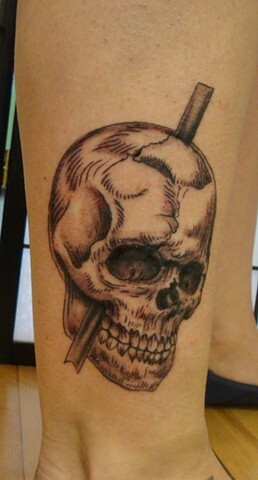 Phinneus Gage skull. 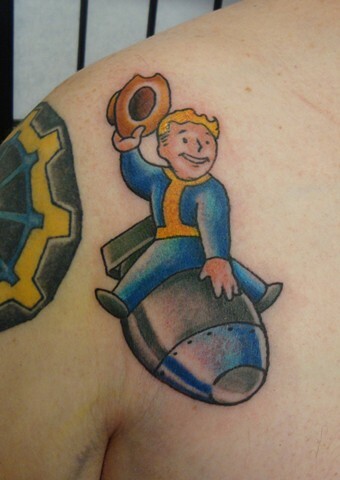 He was a rail worker, whom caught some iron with his face, and became the very first lobotomite! 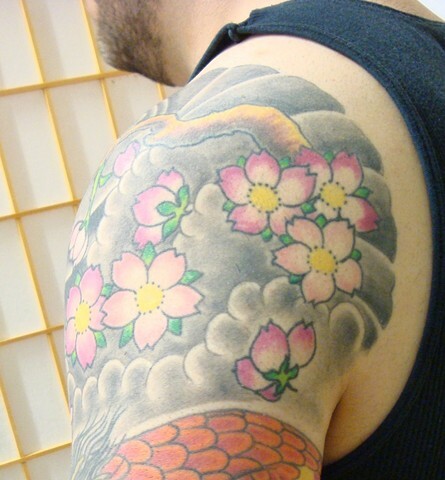 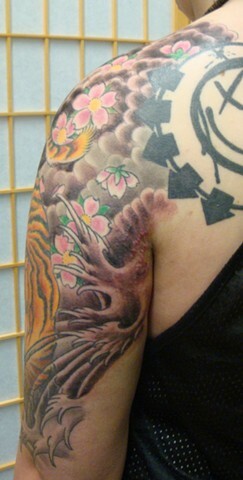 Cherry Blossom Shoulder Cap View 2. 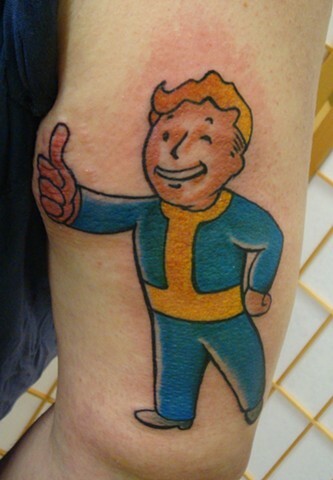 Vault Boy from the video game "Fallout"
Tim Lehi flash. 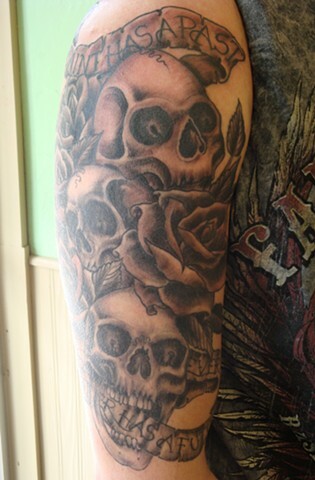 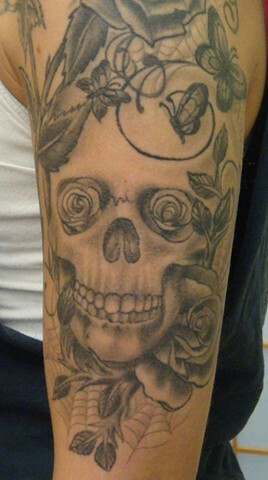 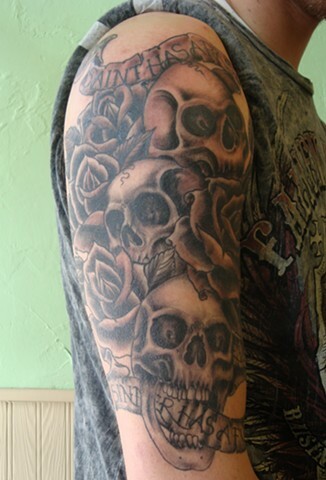 Bottom skull is healed, Reaper is fresh. 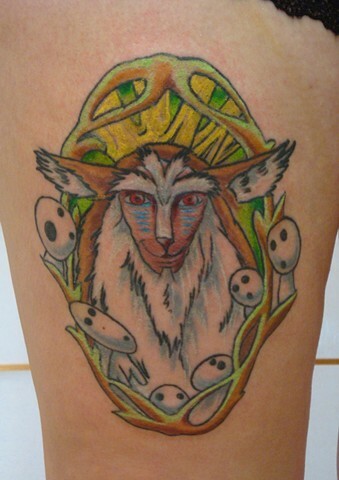 Forest Spirit from the film "Princess Mononoke"